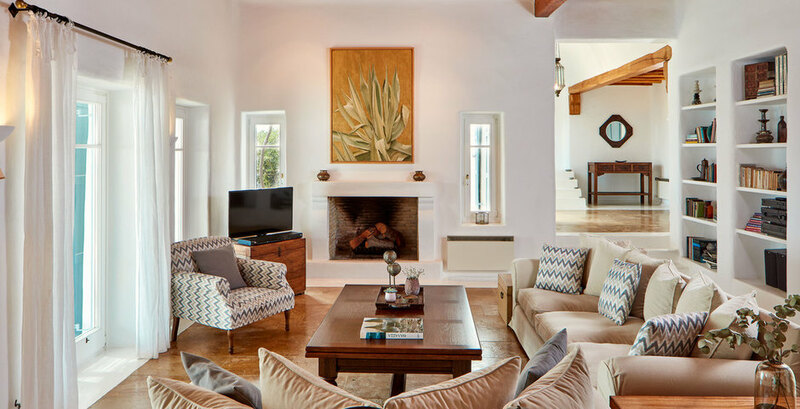 Purched on the crest of a hill overlooking the splendid Agrari Beach, the top end ultra sophisticated Villa ensures privacy on a large plot of land at the end of a private road, away from noise and prying eyes. 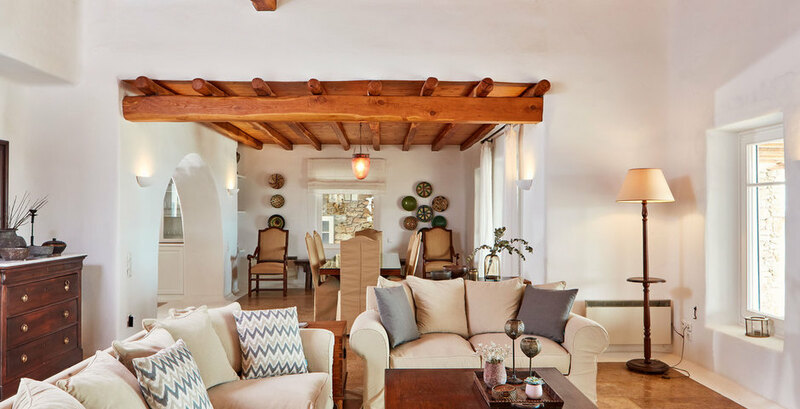 The residence is designed and positioned for the refined VIP’s who appreciate total privacy, unpretentious yet luxurious decoration and large interior and exterior spaces. 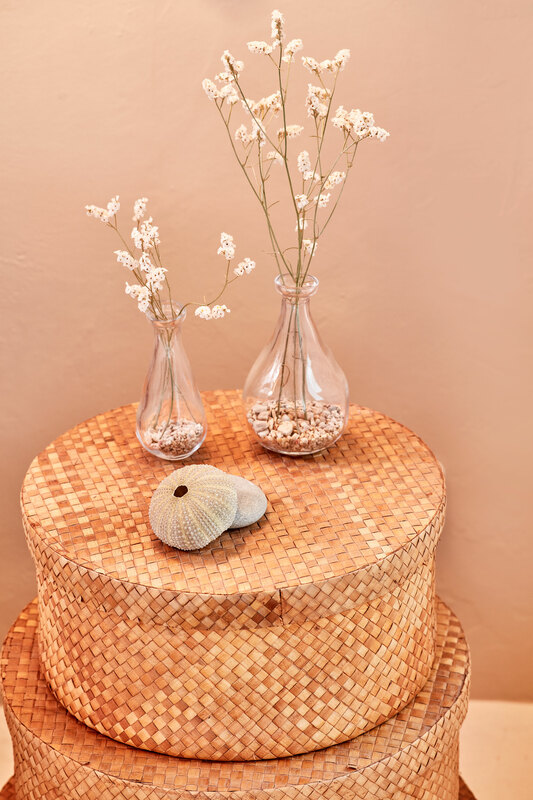 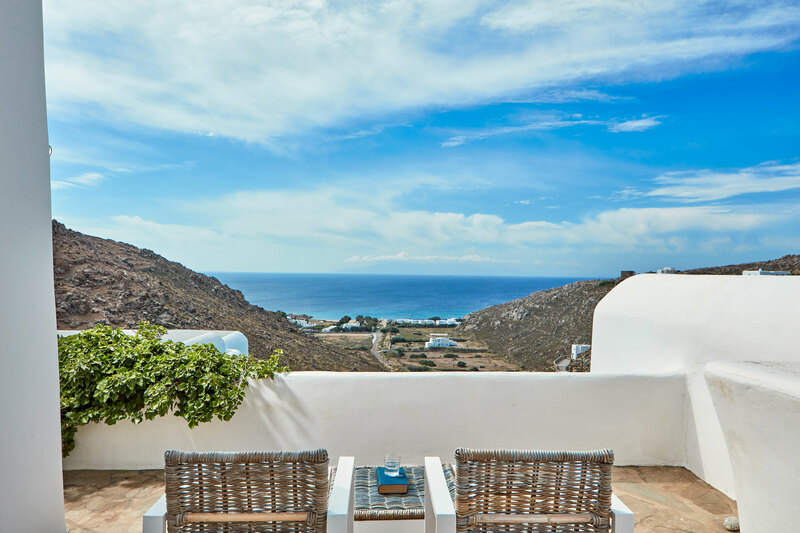 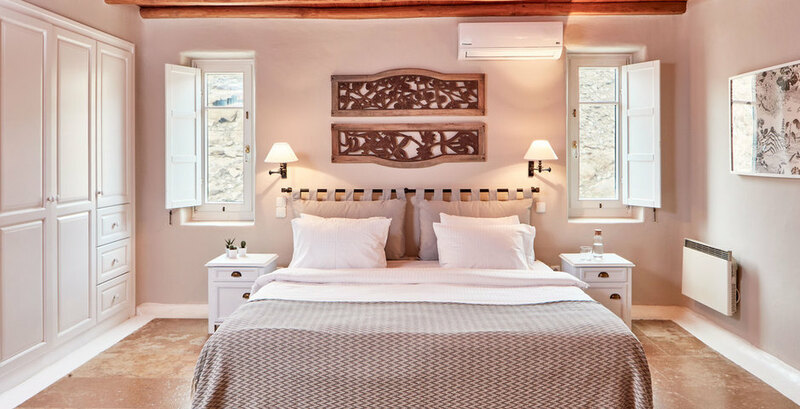 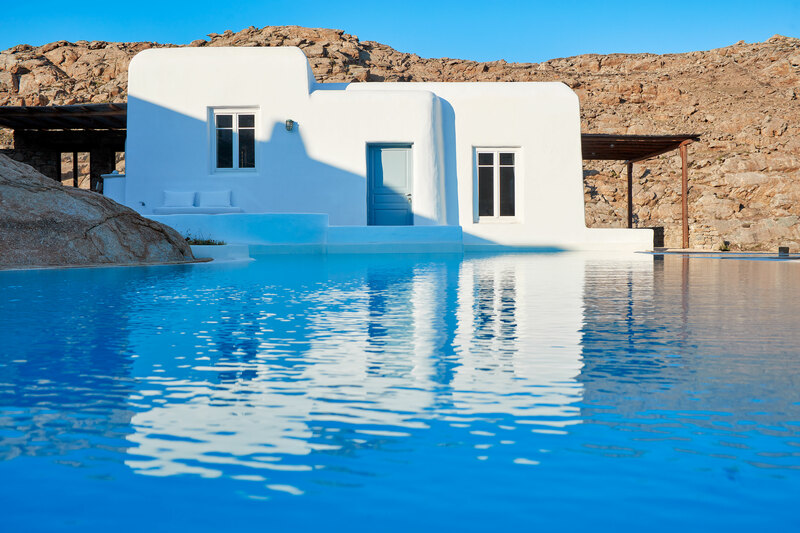 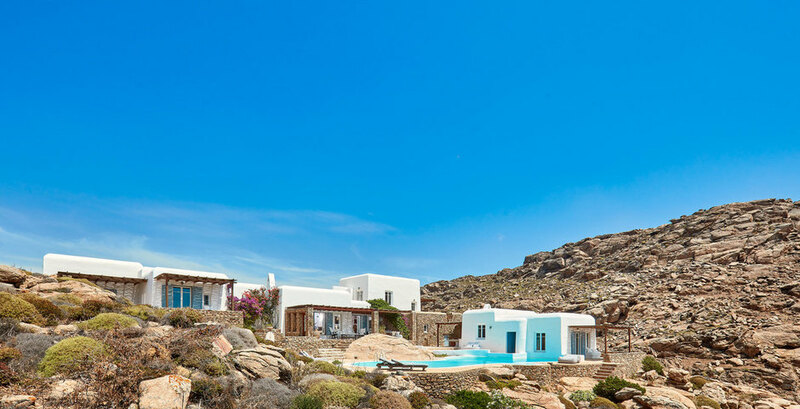 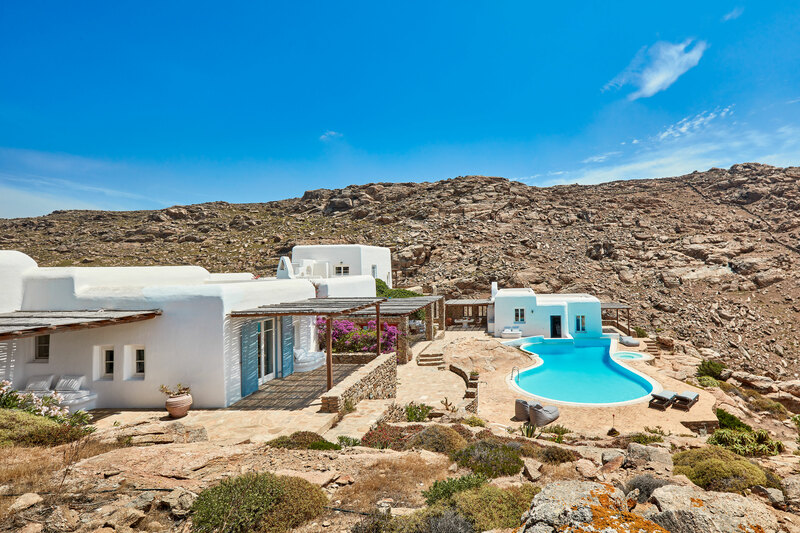 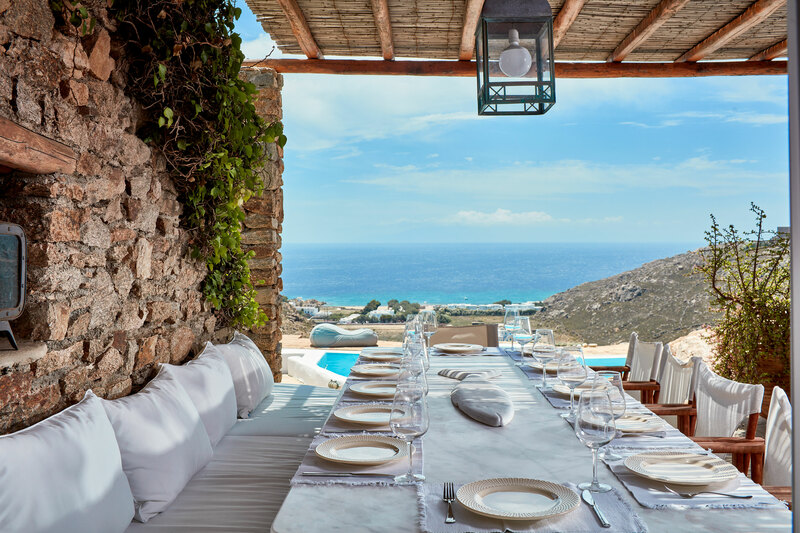 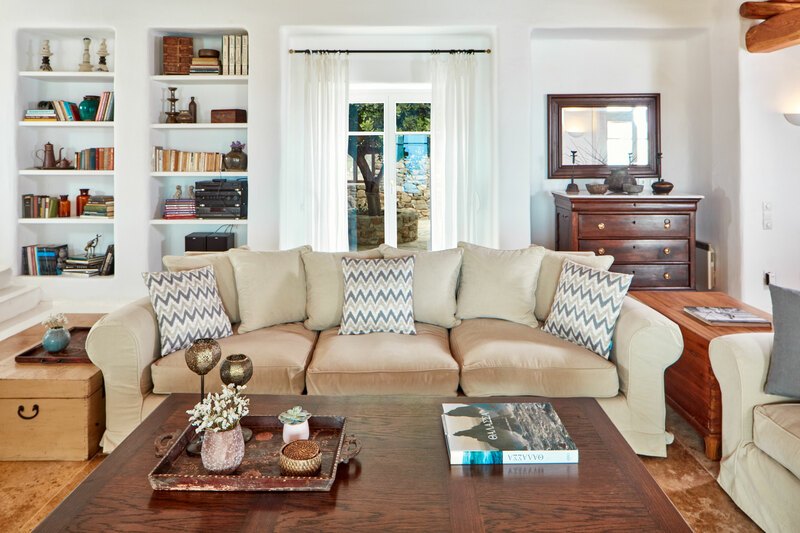 The Villa is built on a large gated property of 10.000 m2 with uninterupted view to Agrari Beach, one of the nicest beaches of Mykonos, surrounded by a natural amphitheatre of hills. 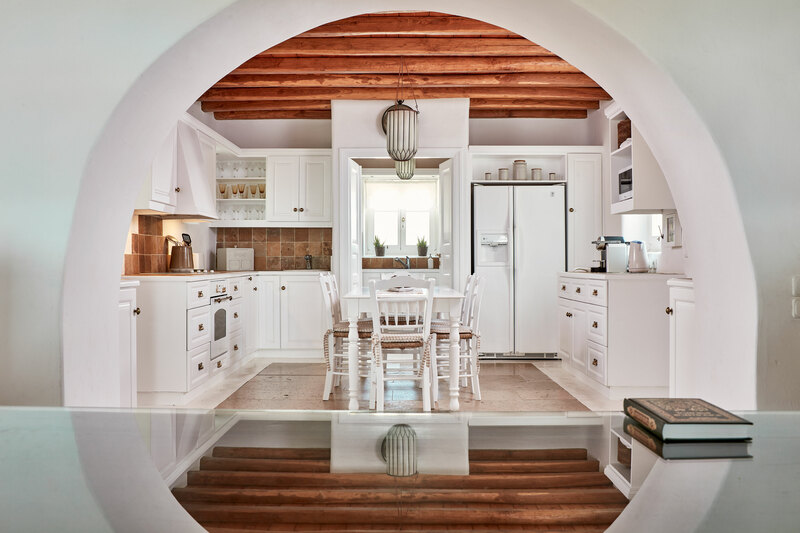 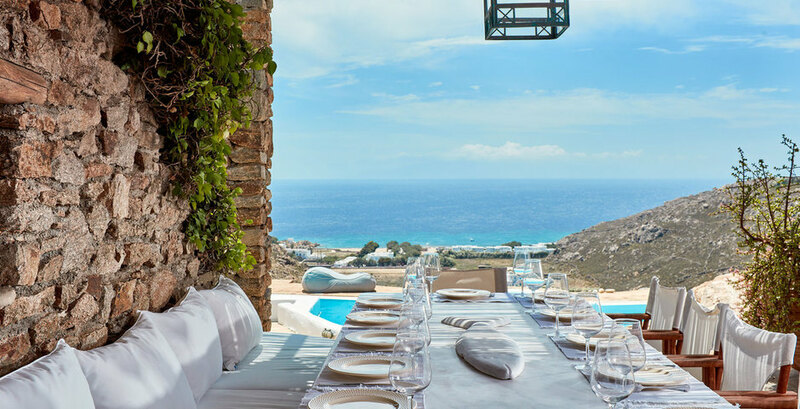 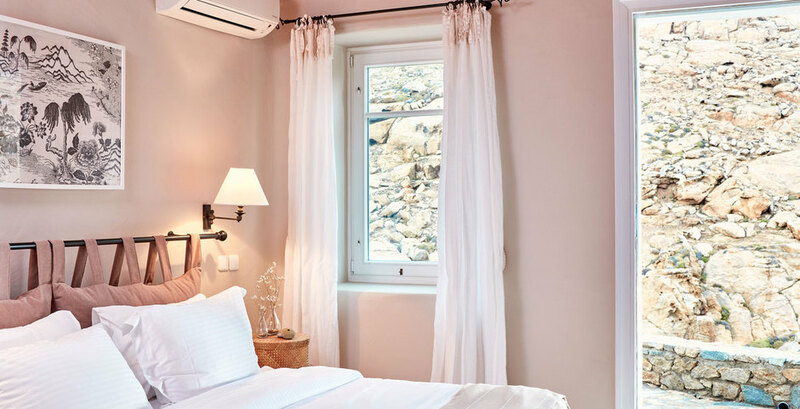 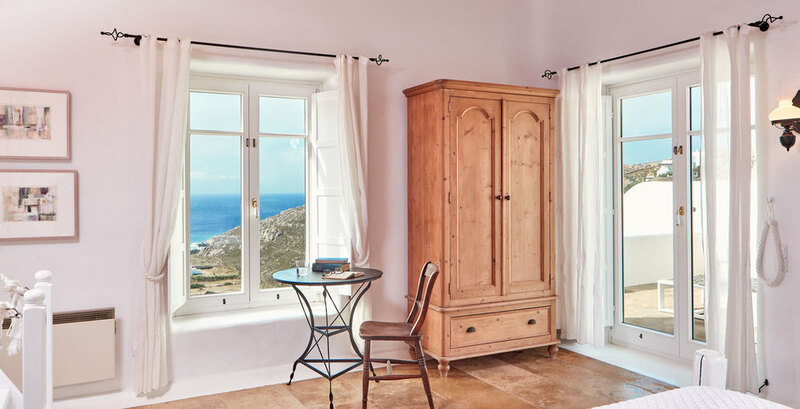 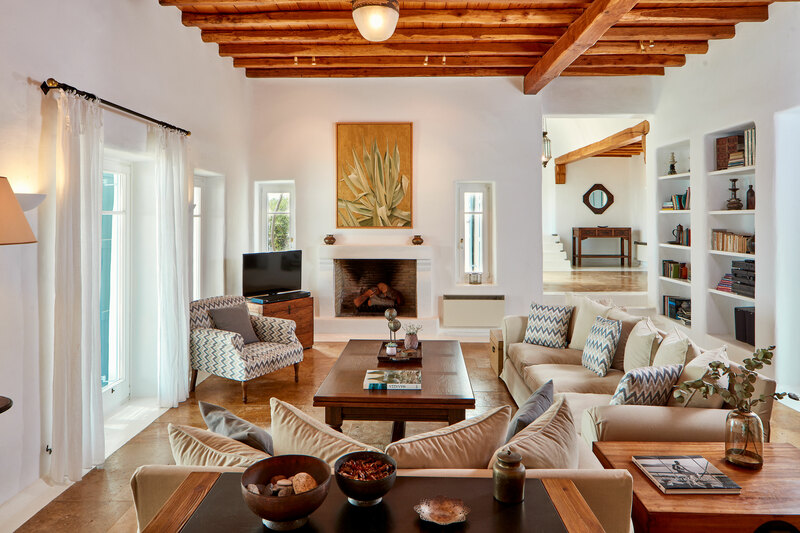 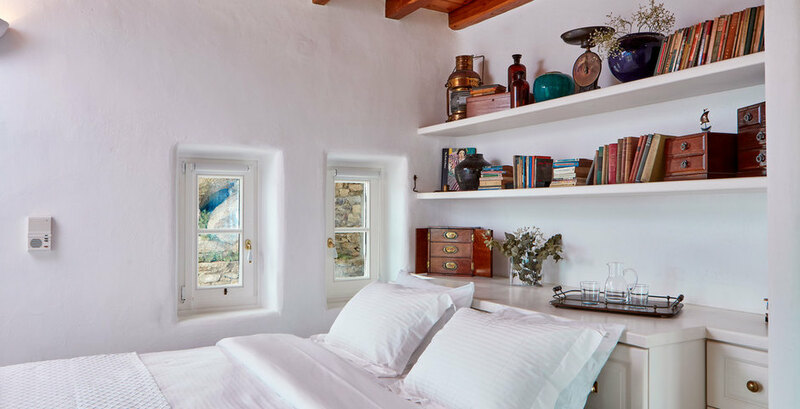 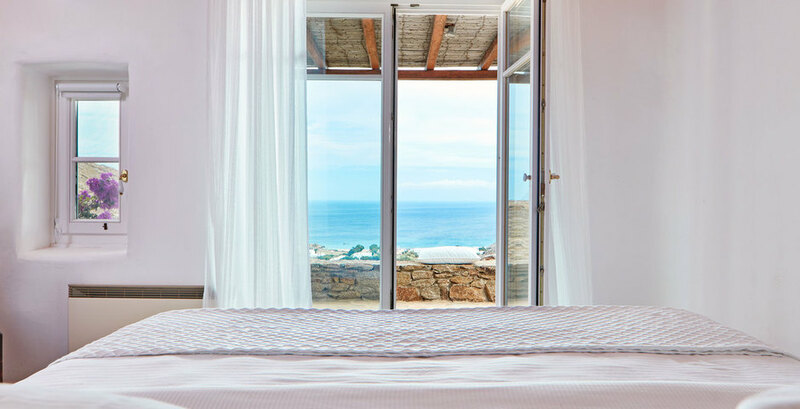 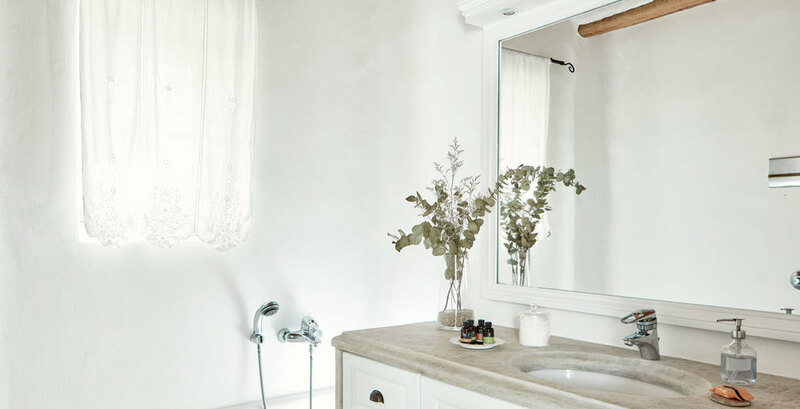 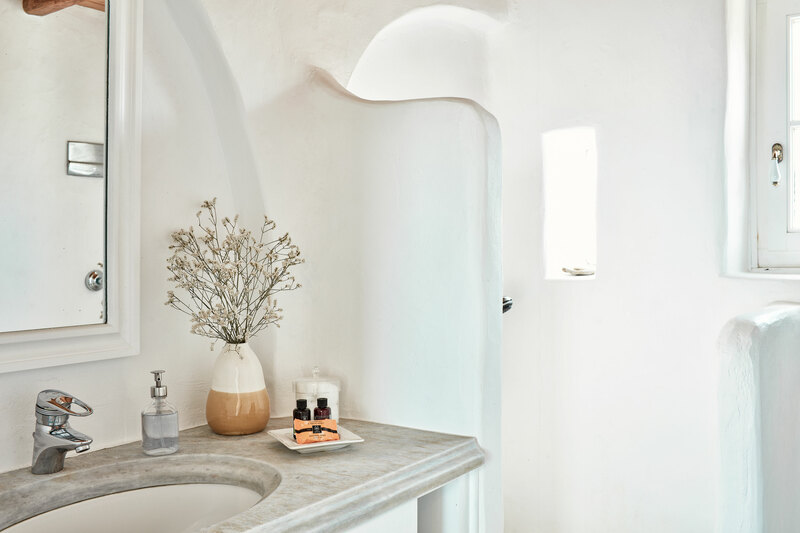 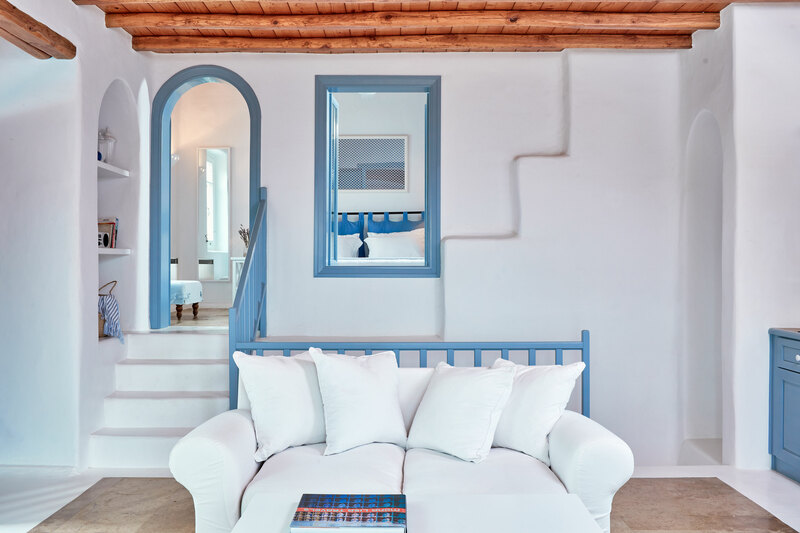 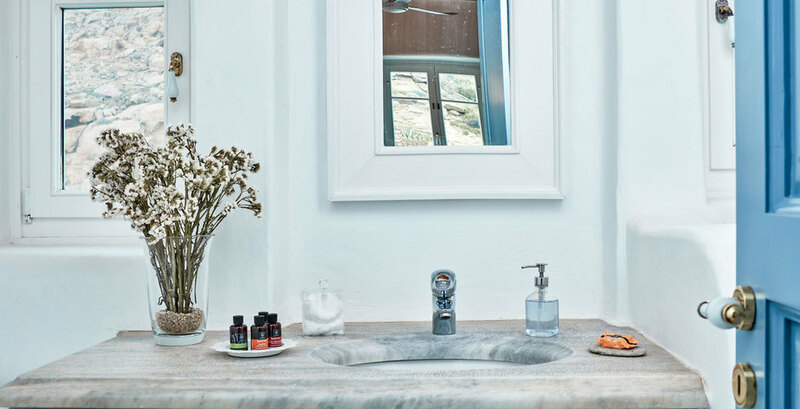 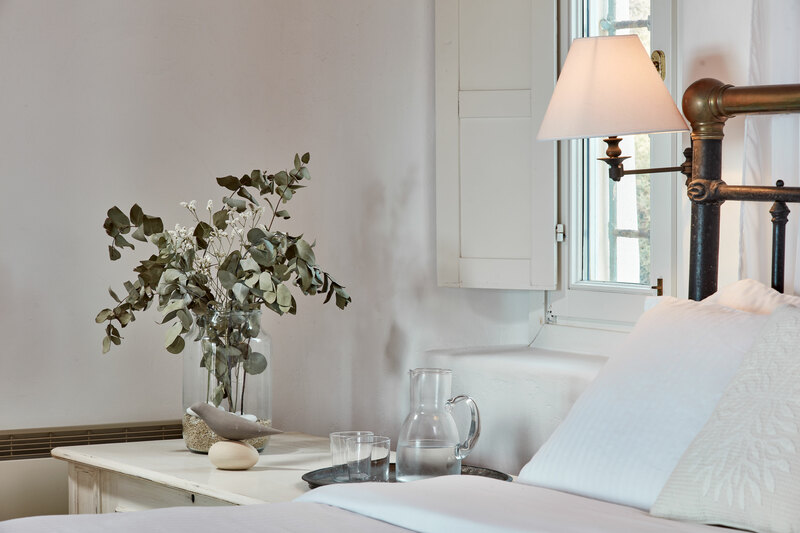 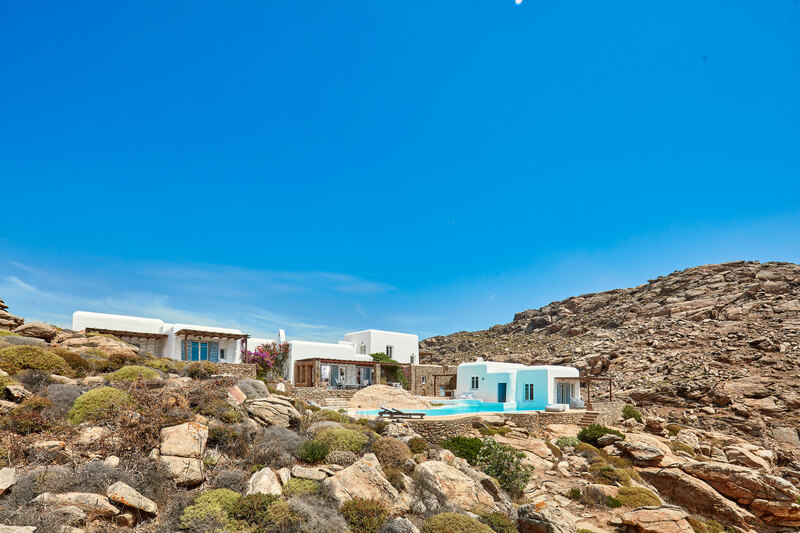 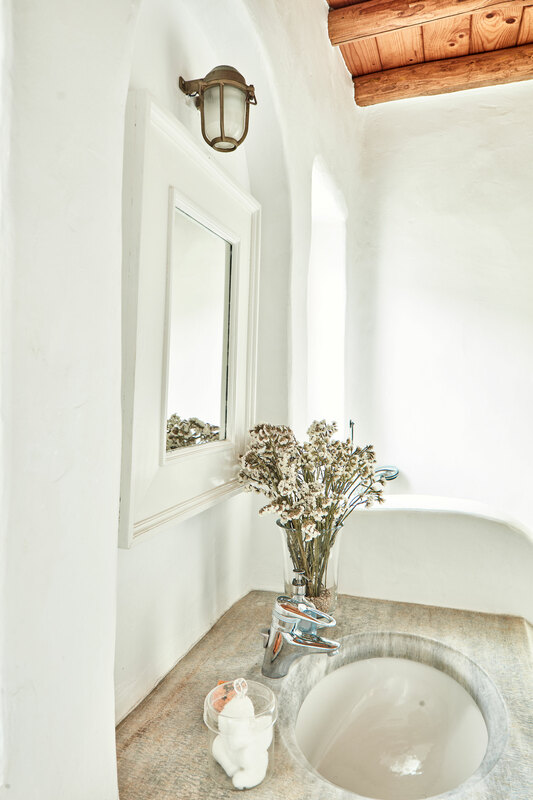 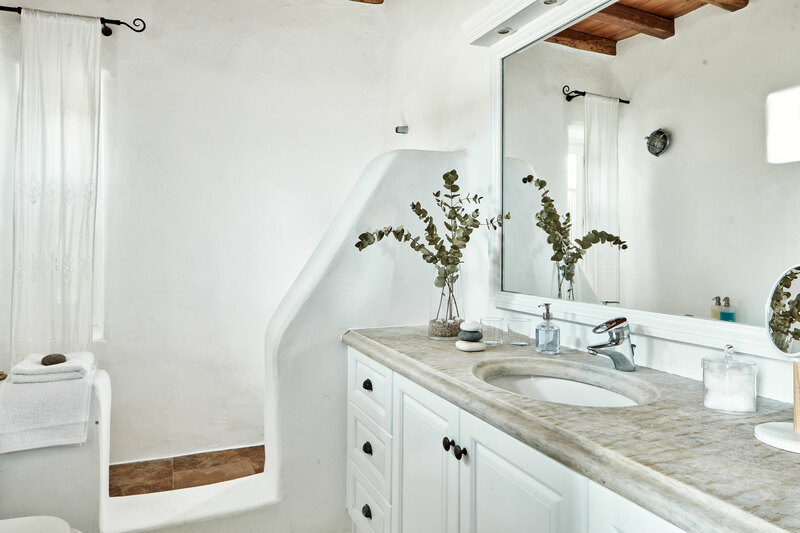 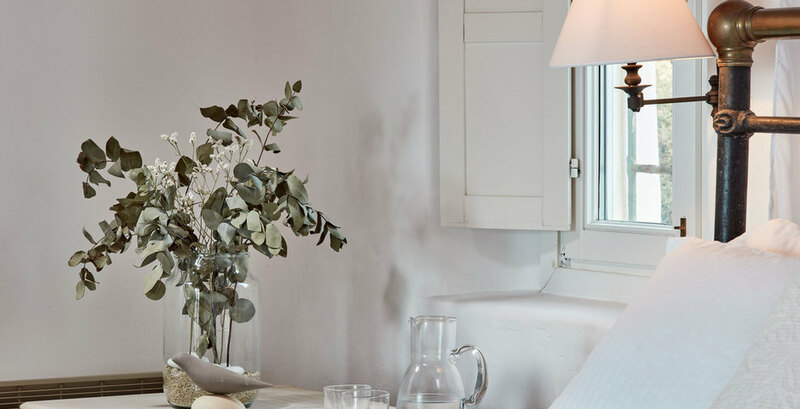 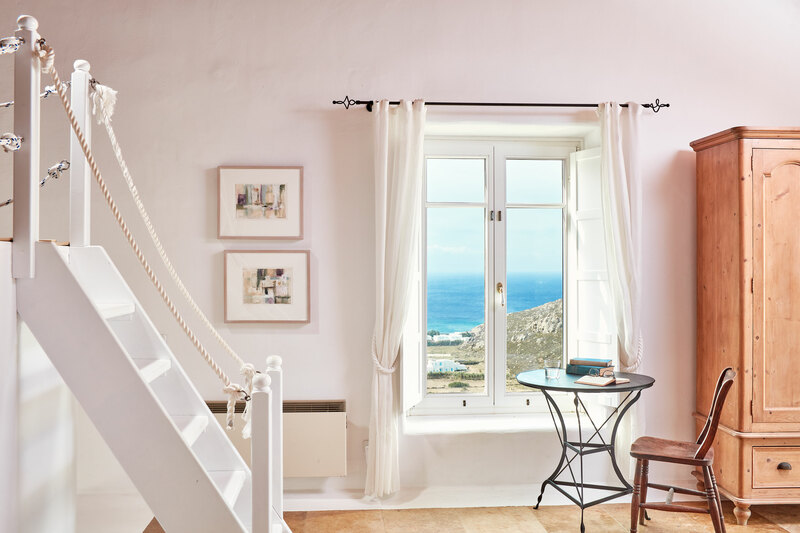 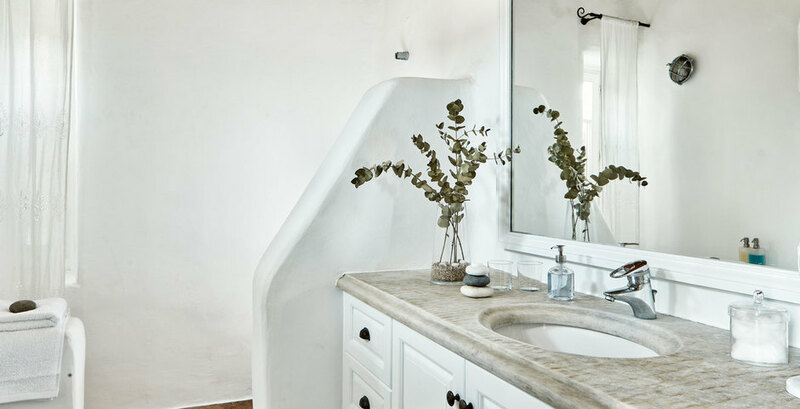 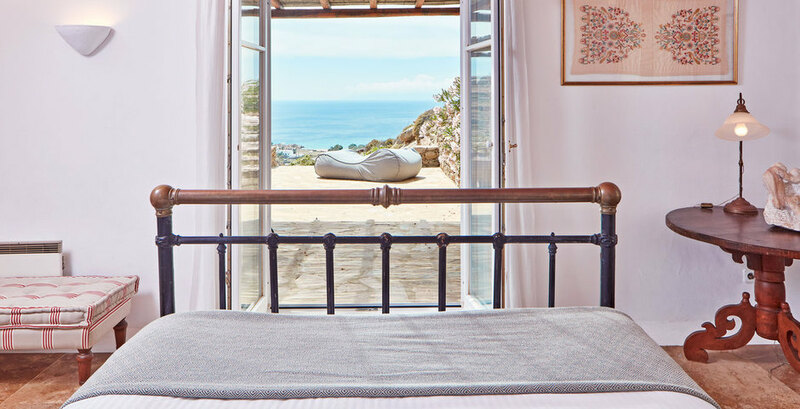 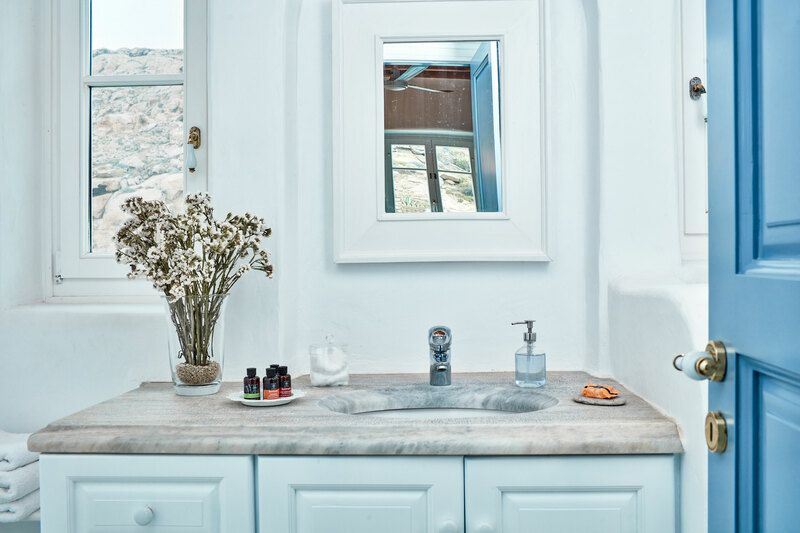 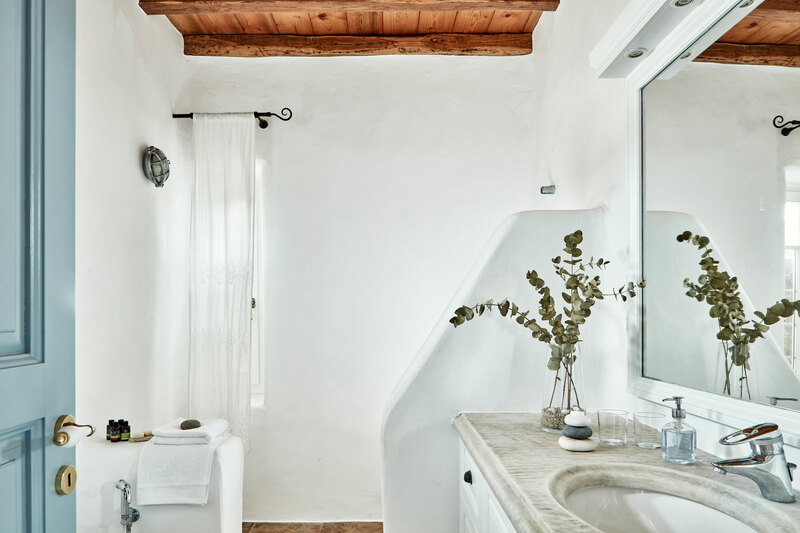 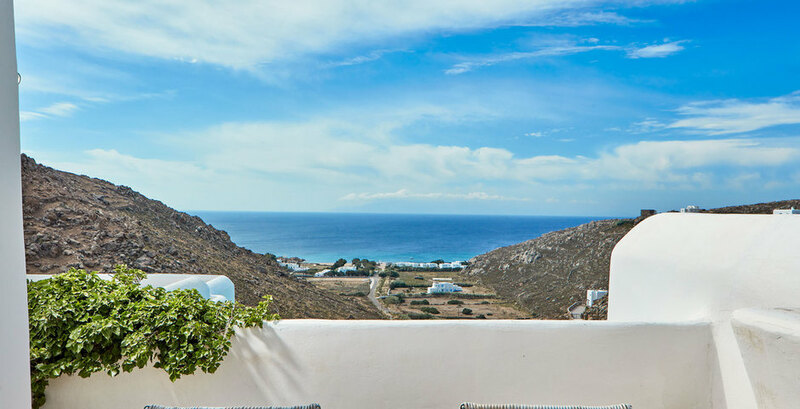 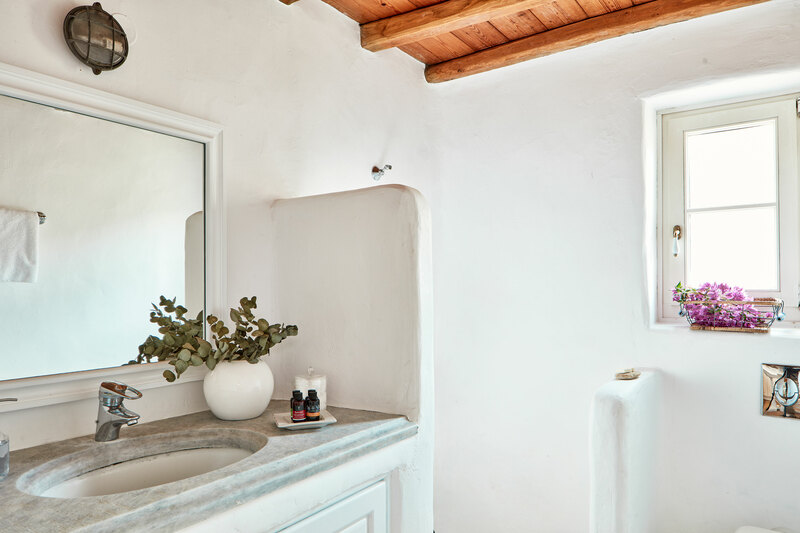 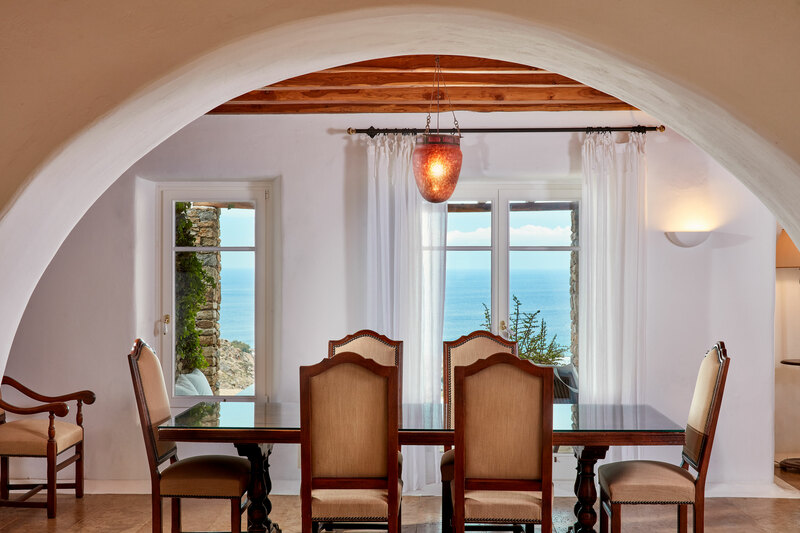 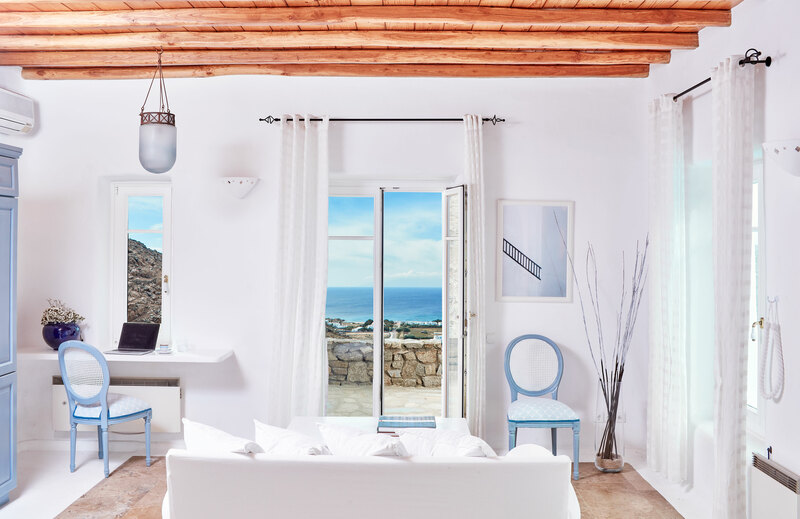 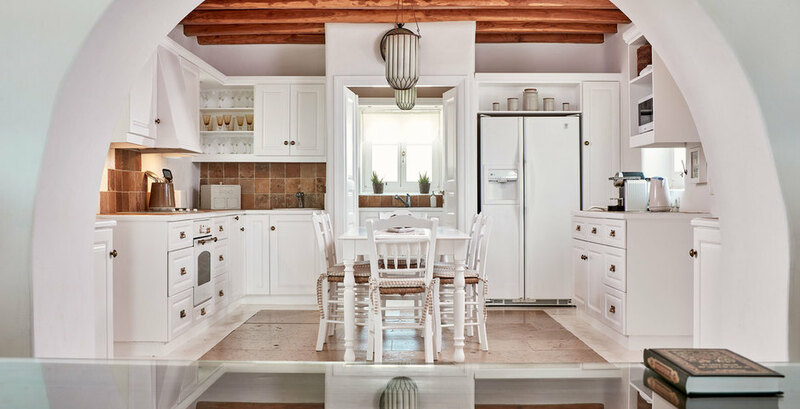 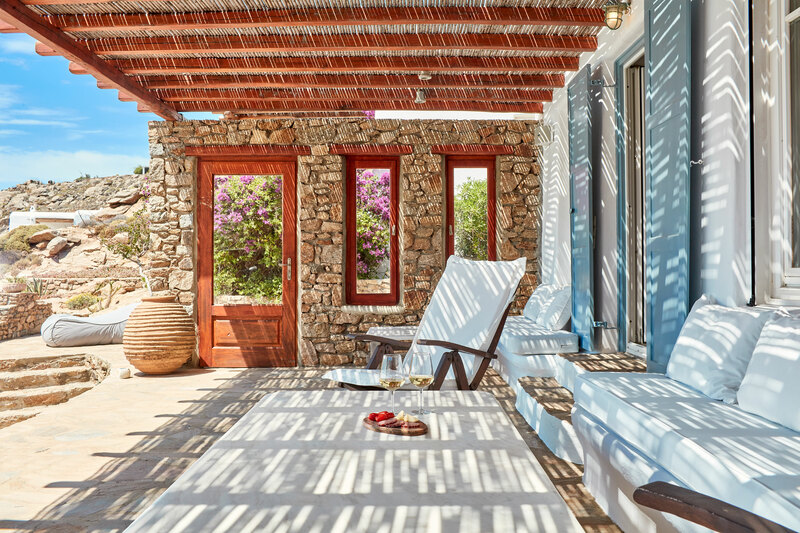 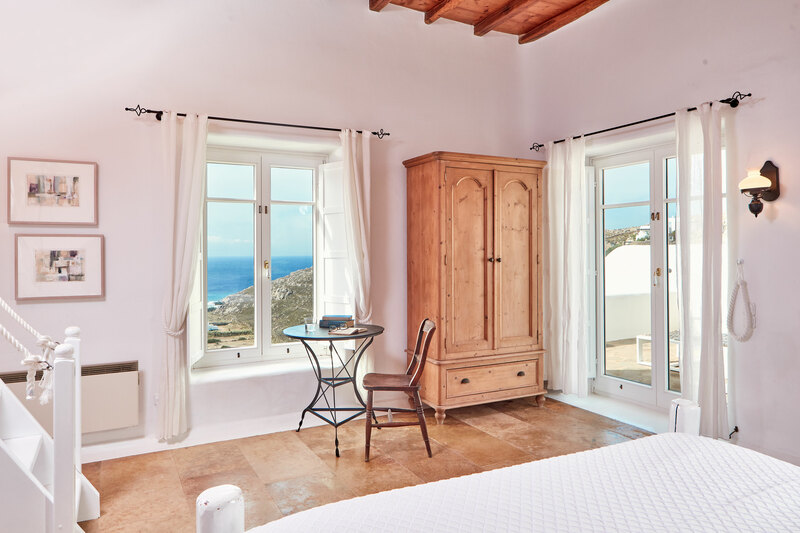 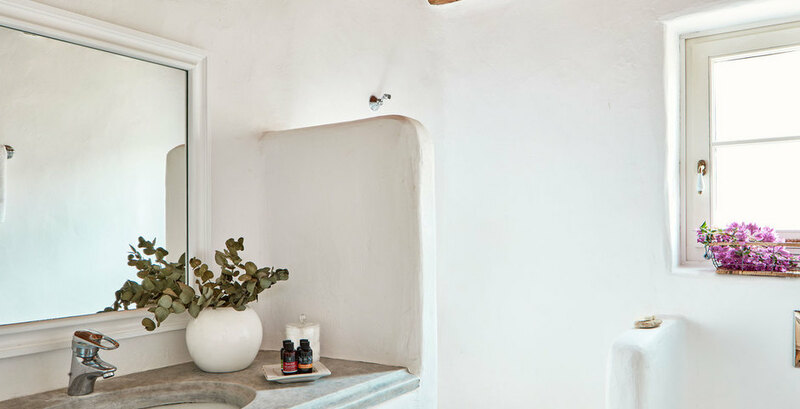 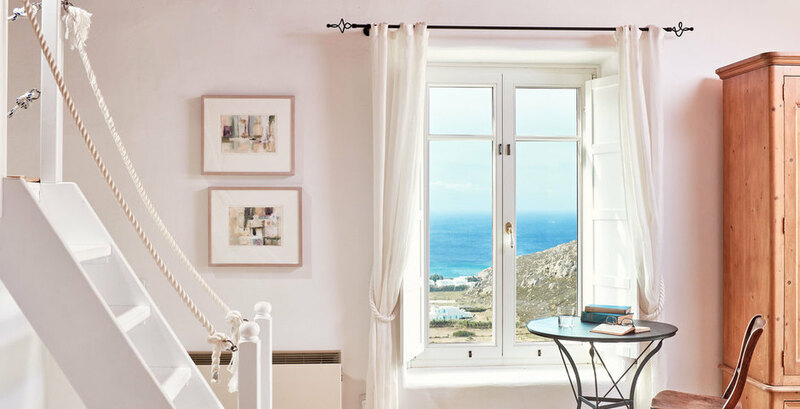 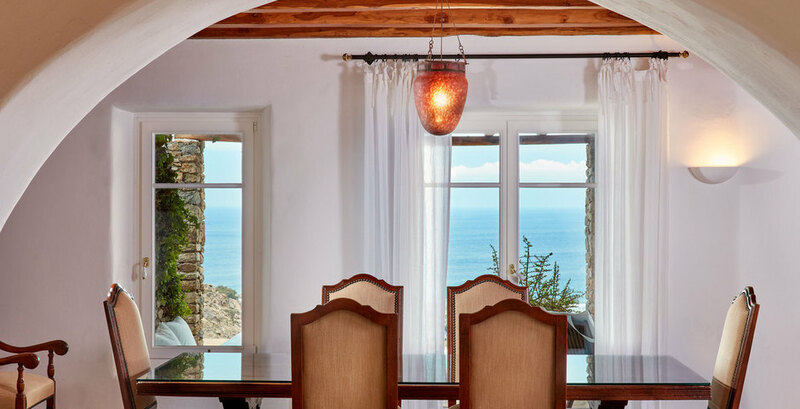 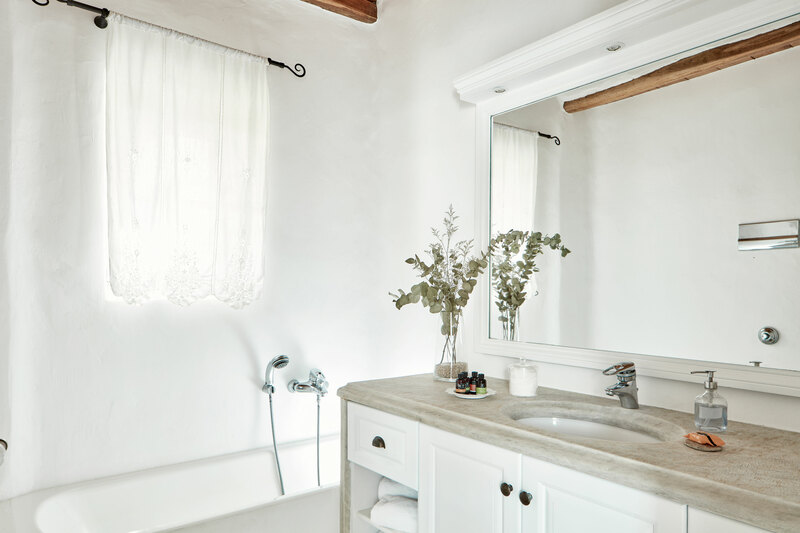 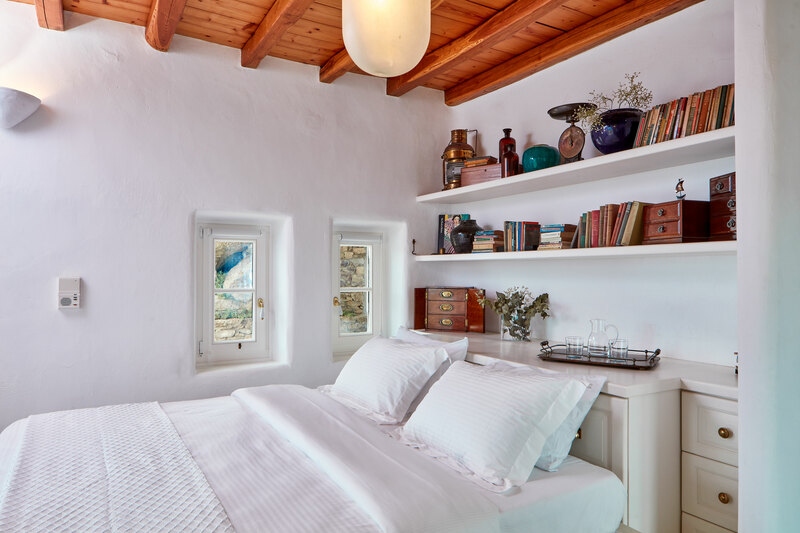 The house is designed so that each room enjoys the same exceptional views over the beach below and across the sparkling sea to the nearby island of Naxos, framed as if in a painting and fully protected from the island’s strong winds. 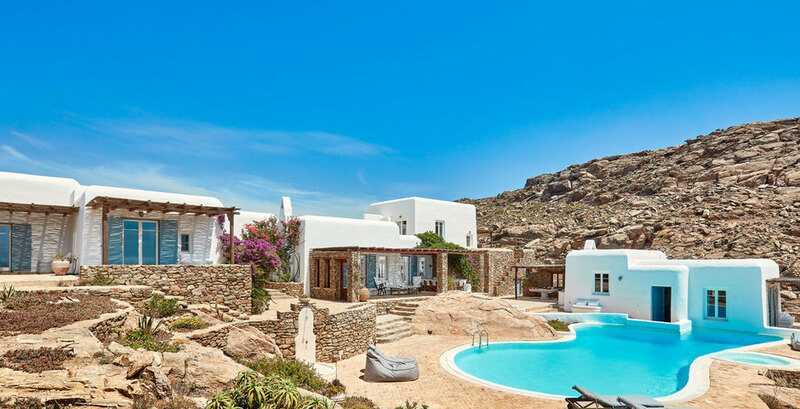 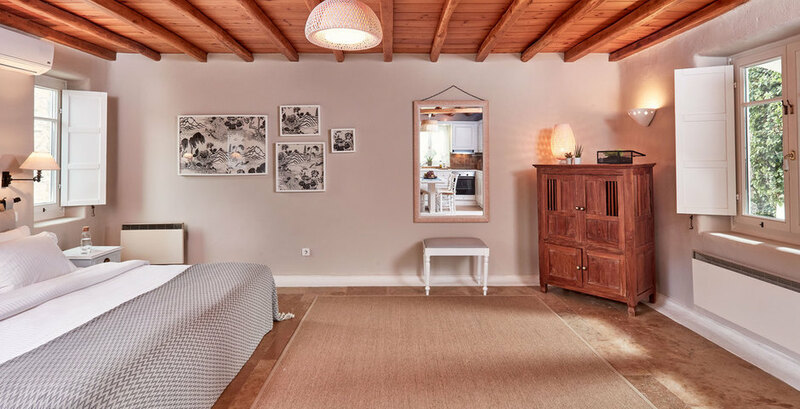 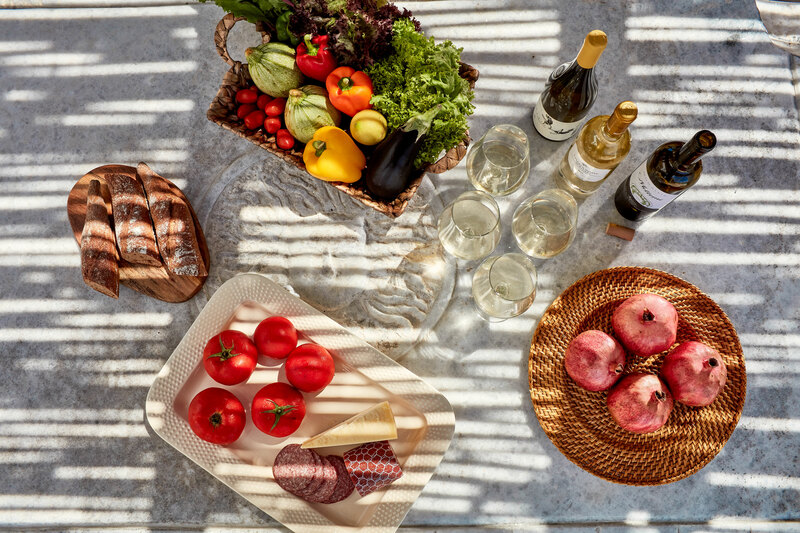 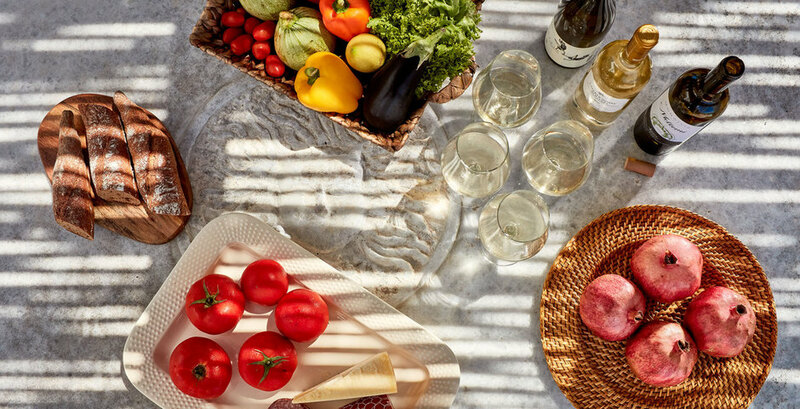 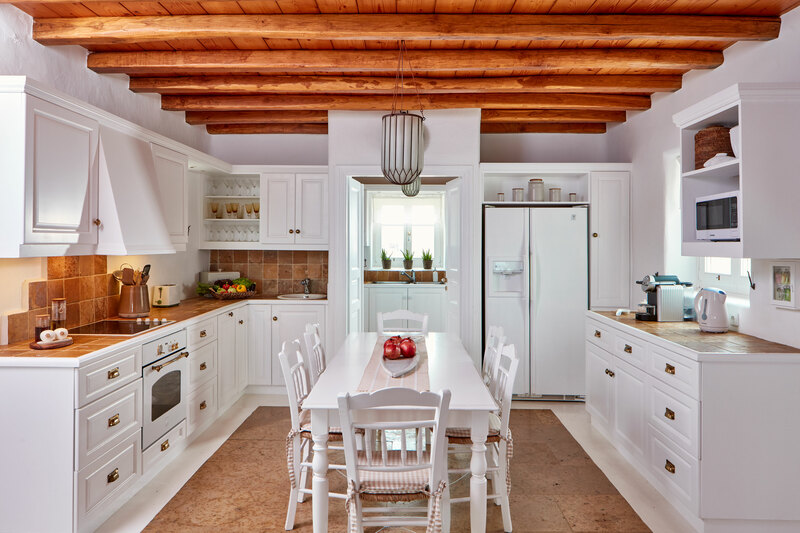 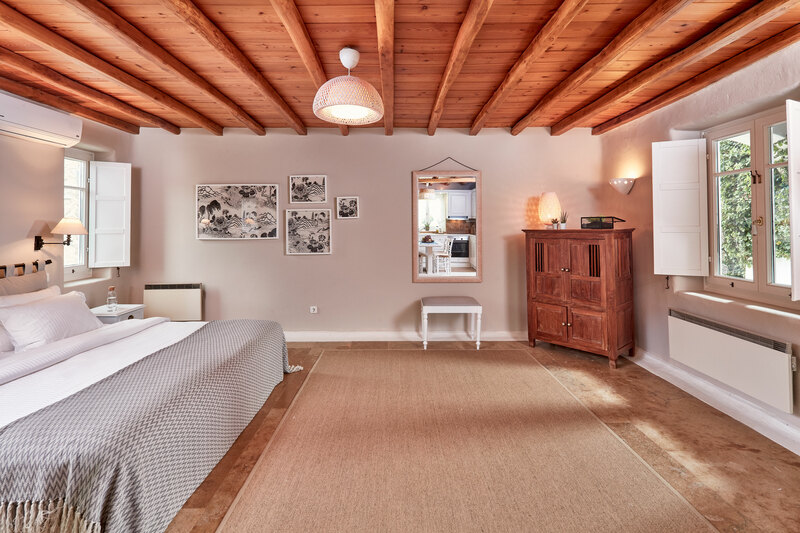 This area is considered to be the favorite location of the connaisseurs of Mykonos where a distinguished few have made their luxury residences, just a 15 min drive from town. 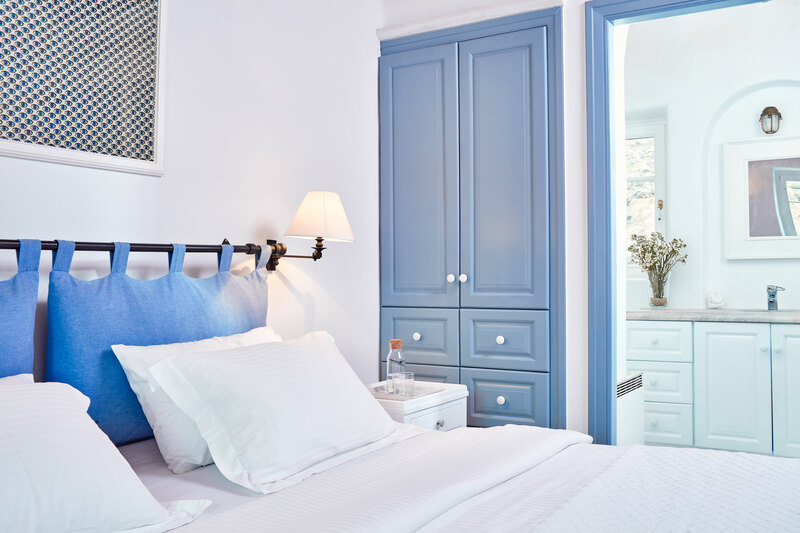 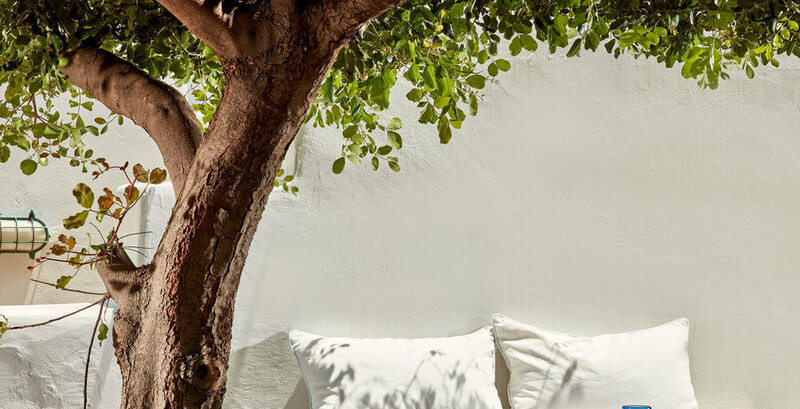 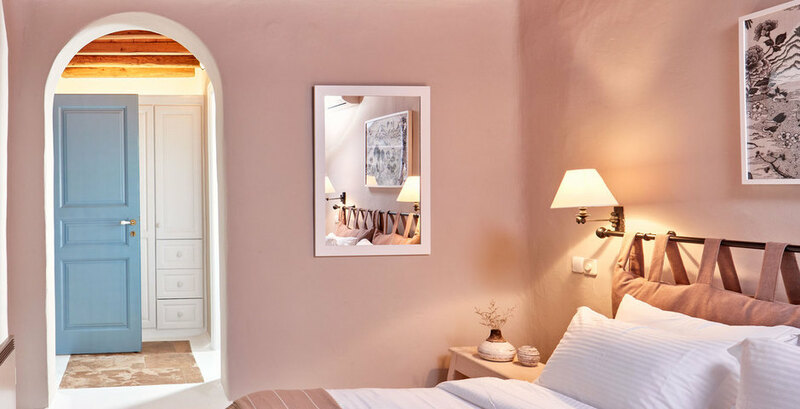 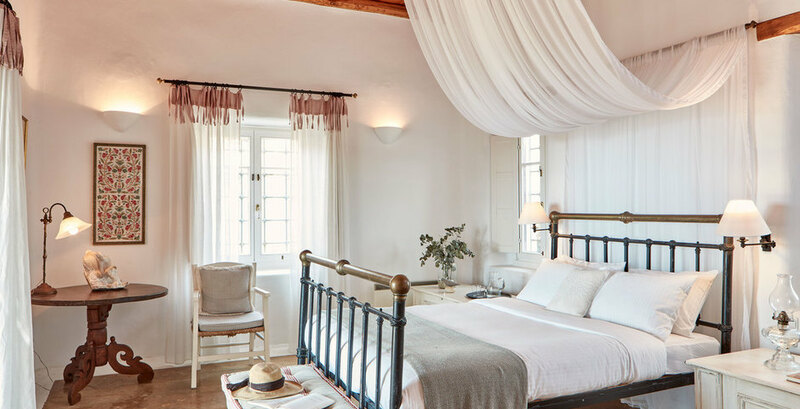 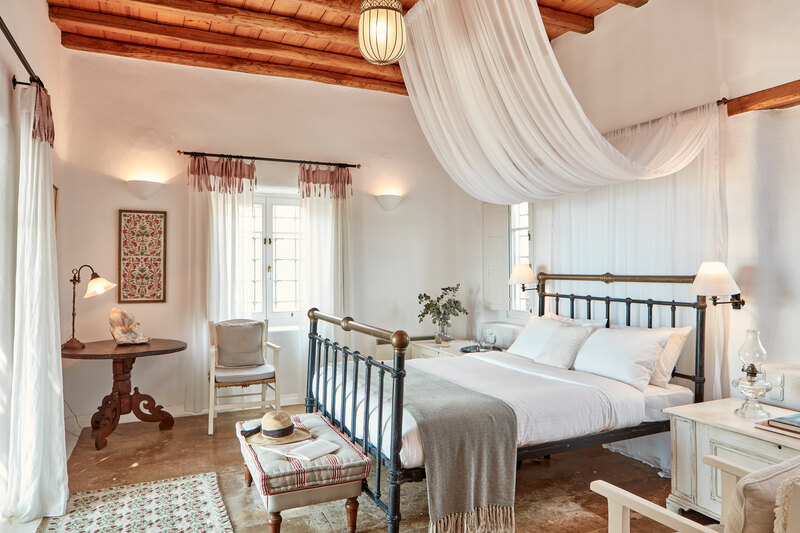 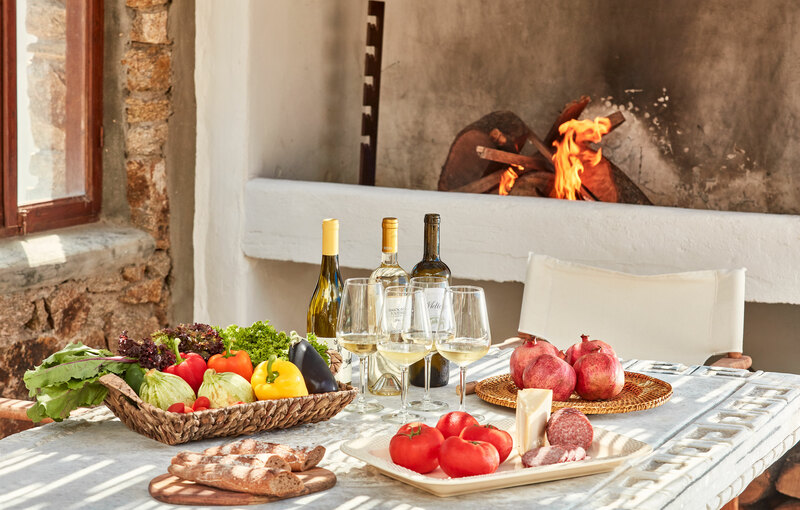 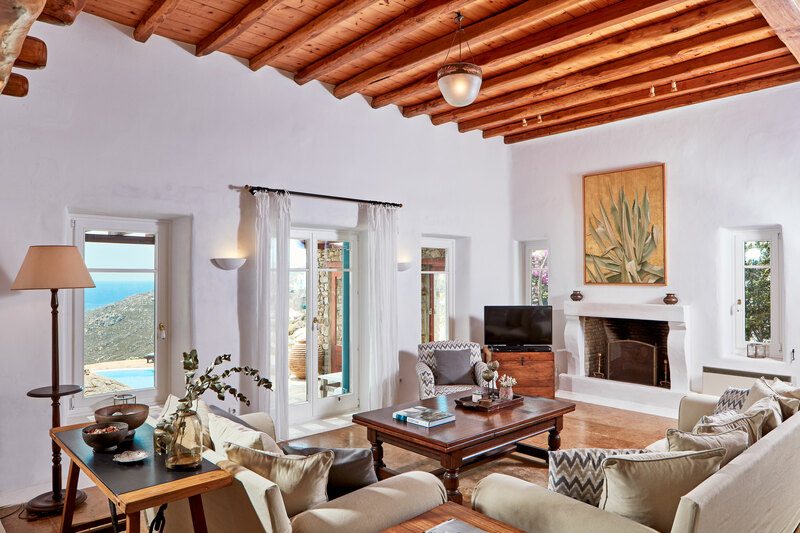 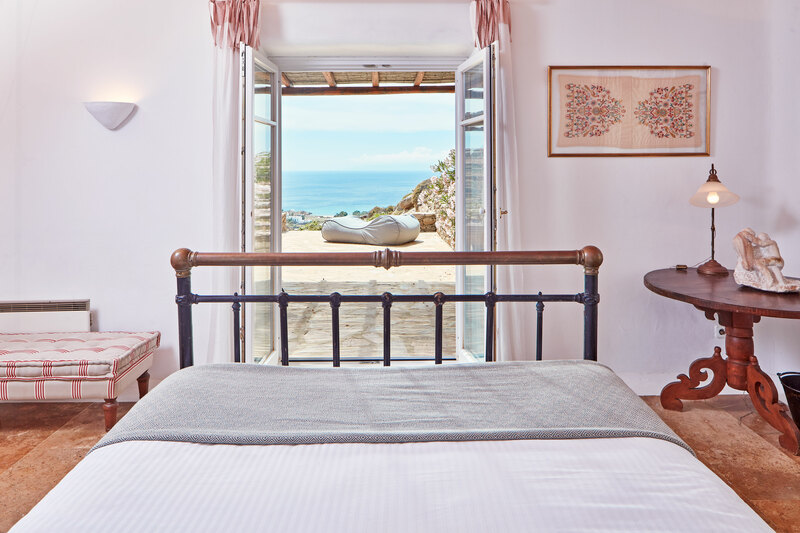 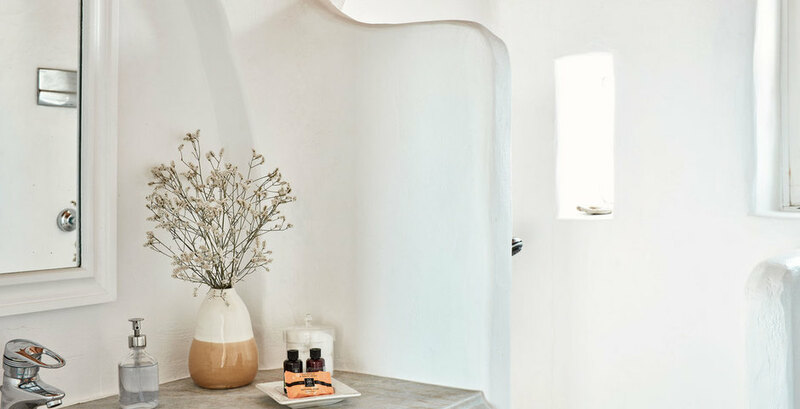 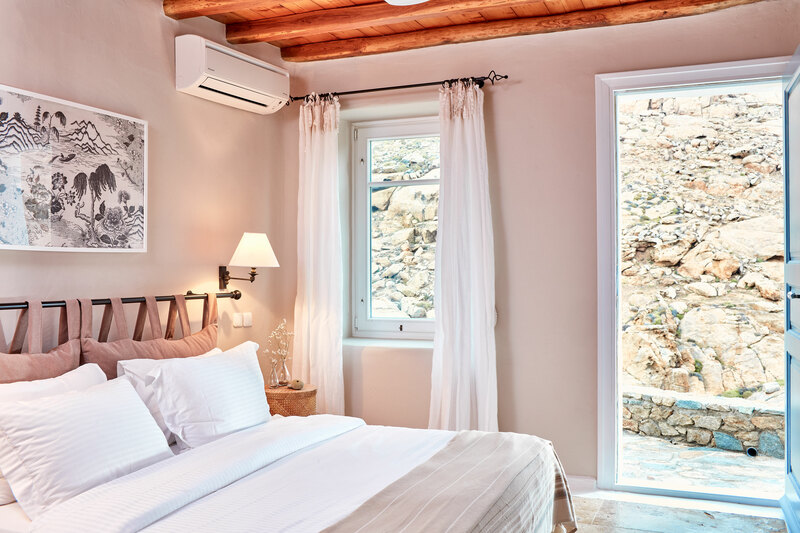 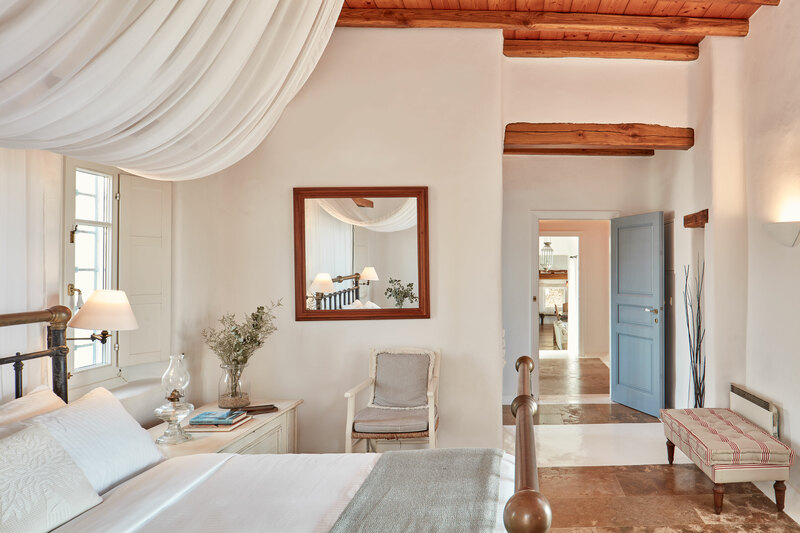 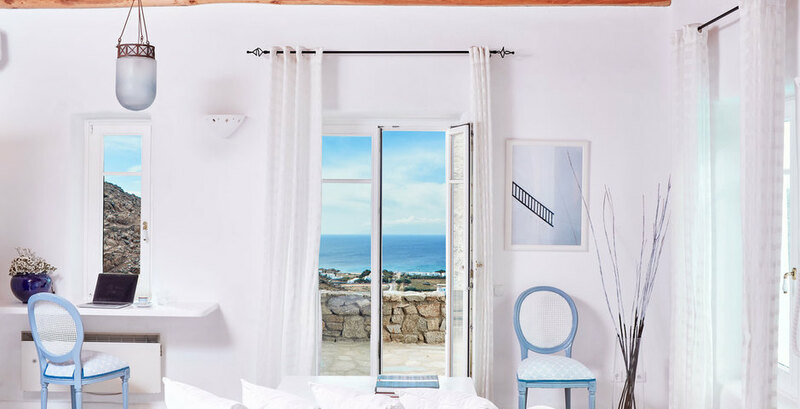 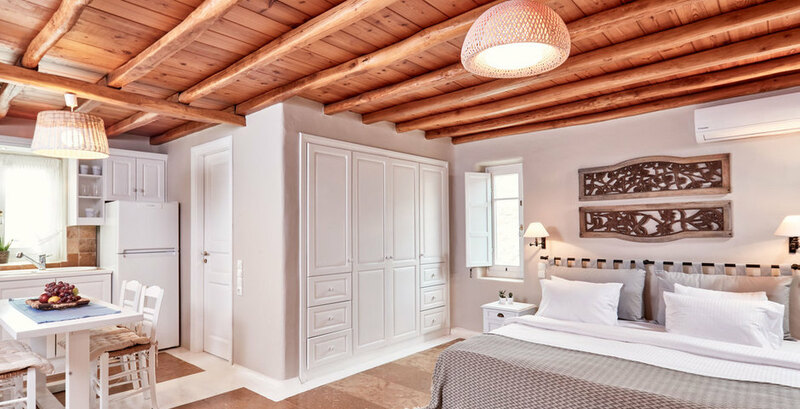 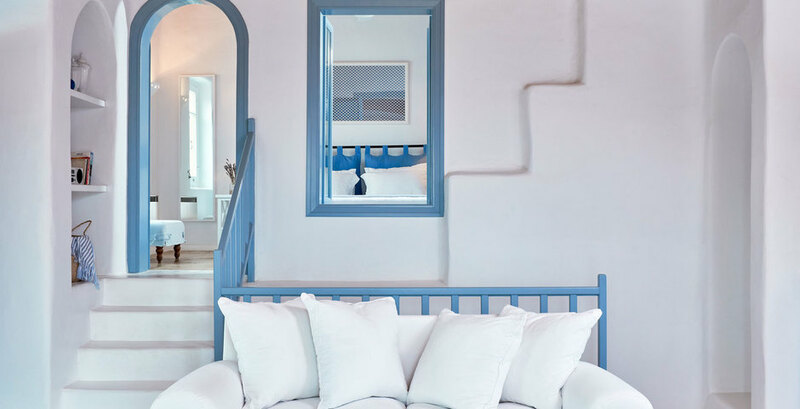 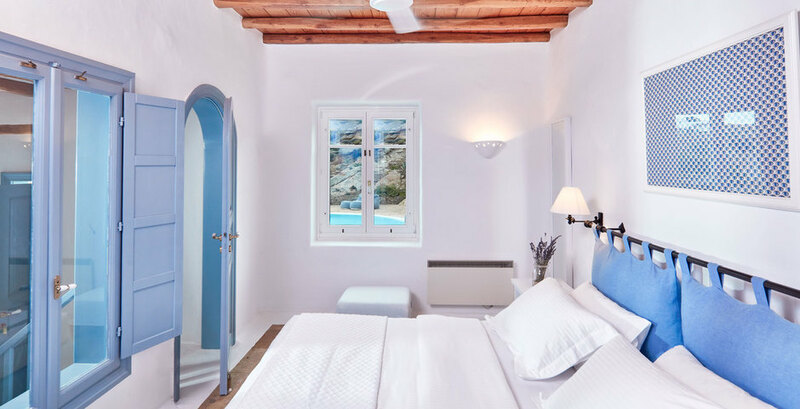 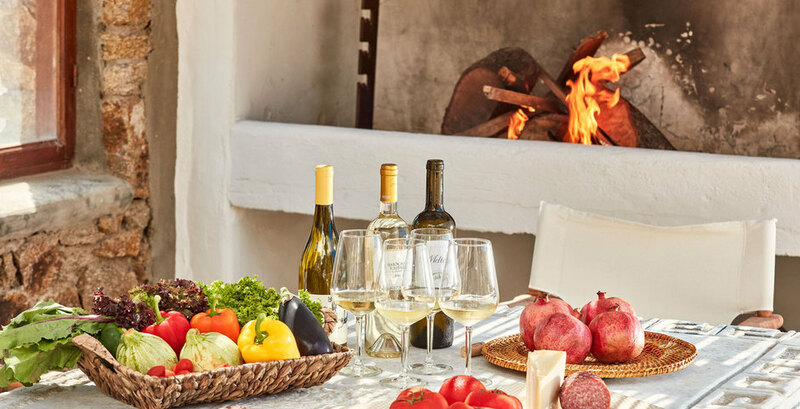 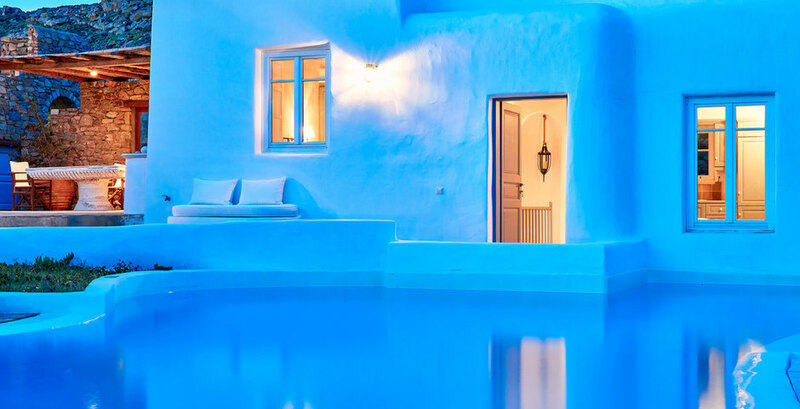 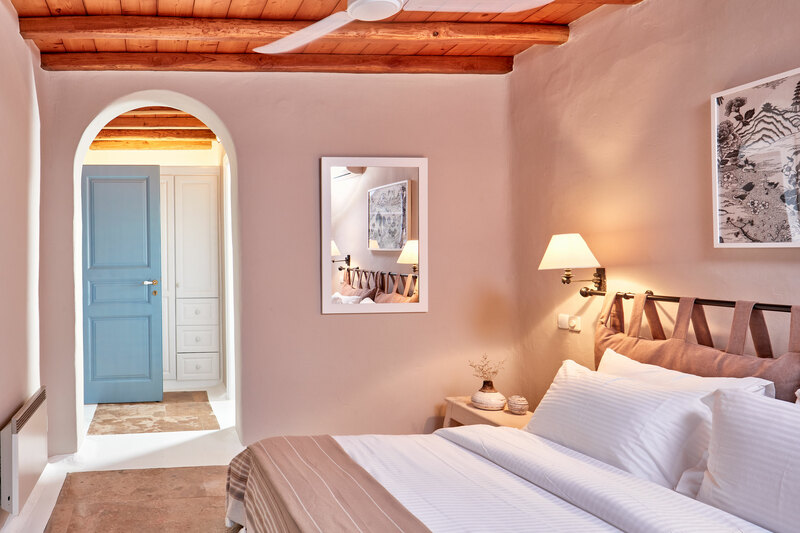 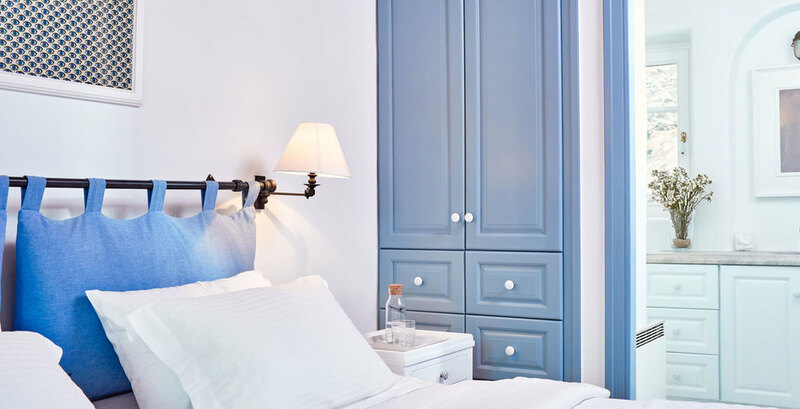 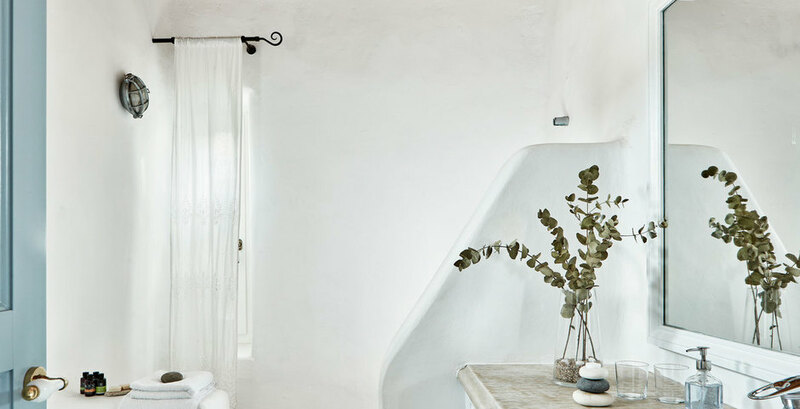 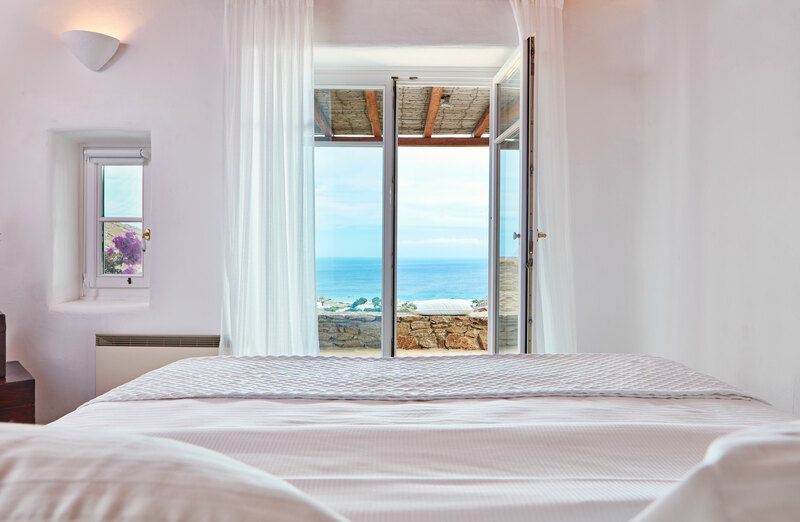 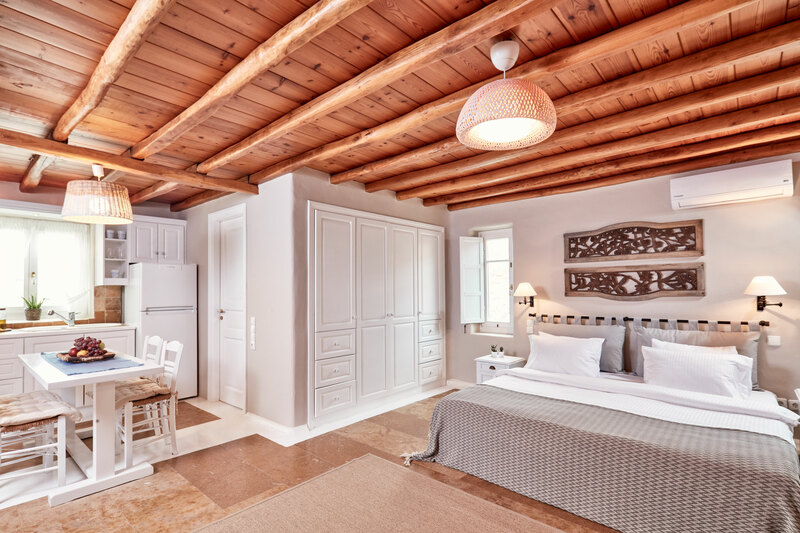 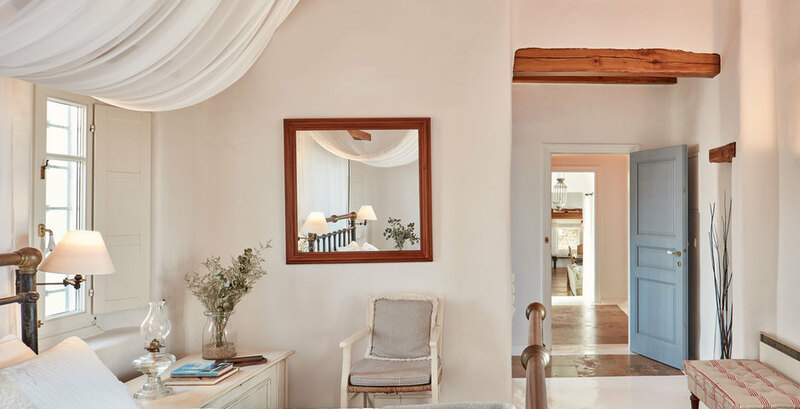 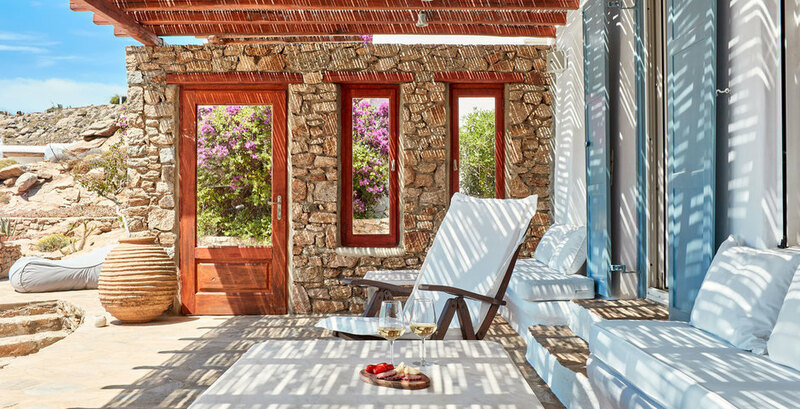 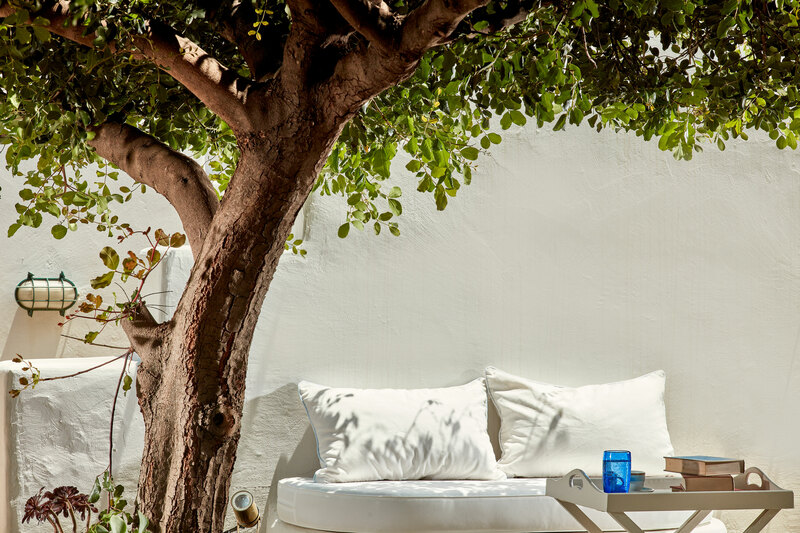 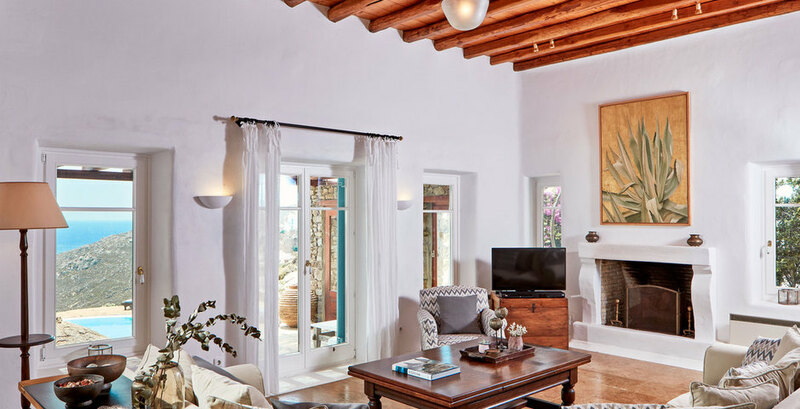 Adjacent to the pool there is a separate guest house (The “Pool House”) on two levels, with breathtaking views of the cliff, the beach and the isle of Naxos. 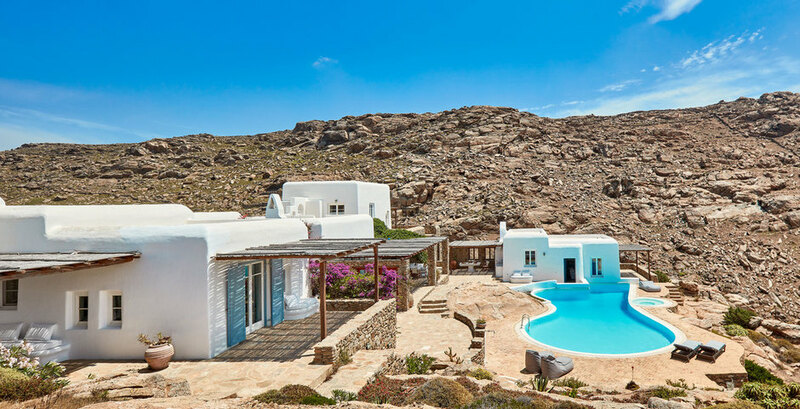 On the ground floor is the main bedroom and the living room with an open kitchen, as if floating in the pool on top of the hills. 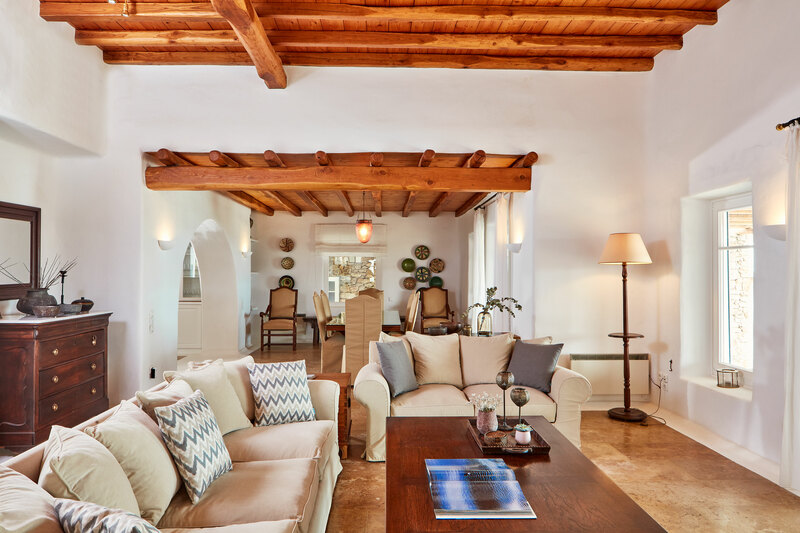 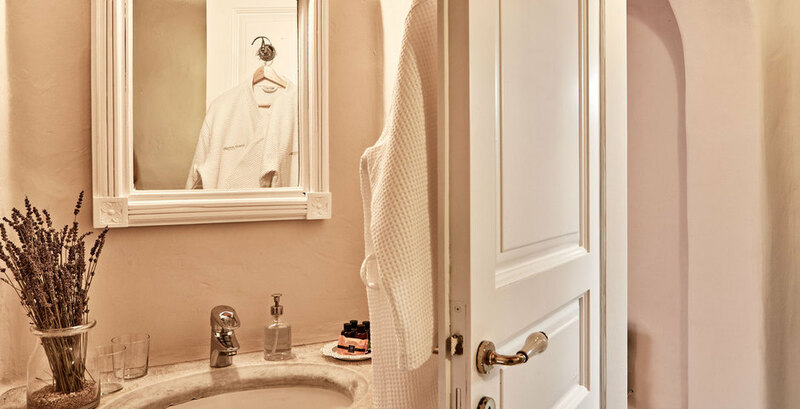 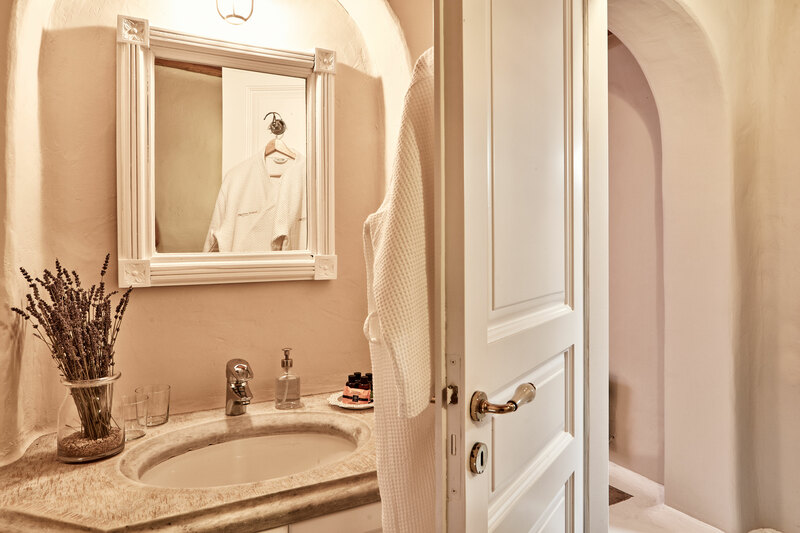 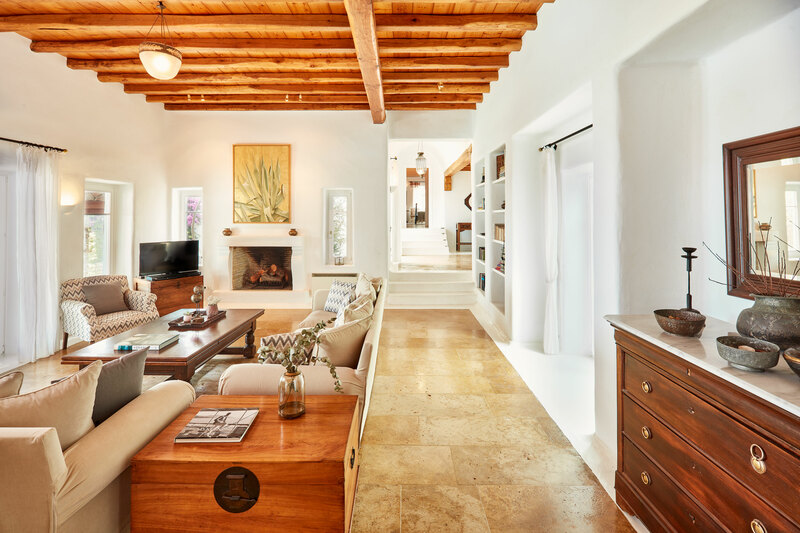 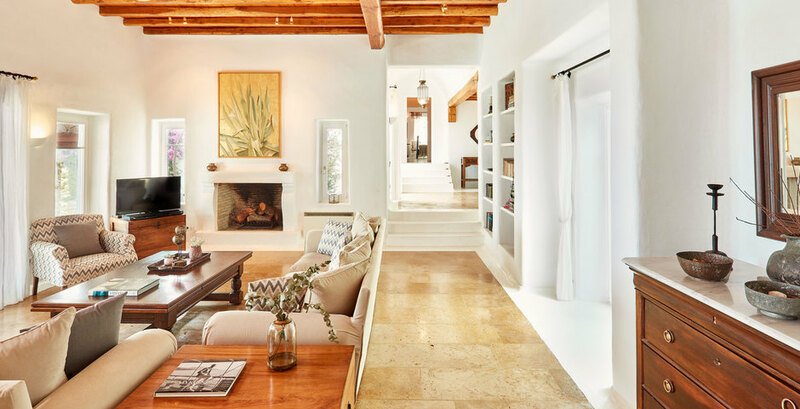 Below the living room is a separate guest room with a bathroom, an independent entrance and a private courtyard. 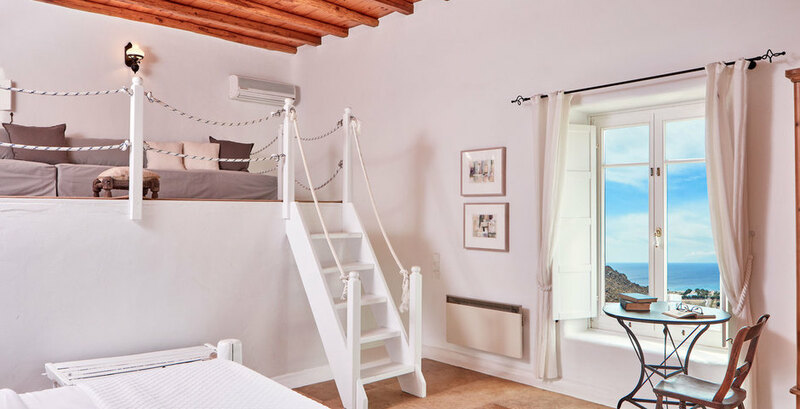 Finally, there is also a detached studio with living room + bathroom, ideal for kids and/or staff. 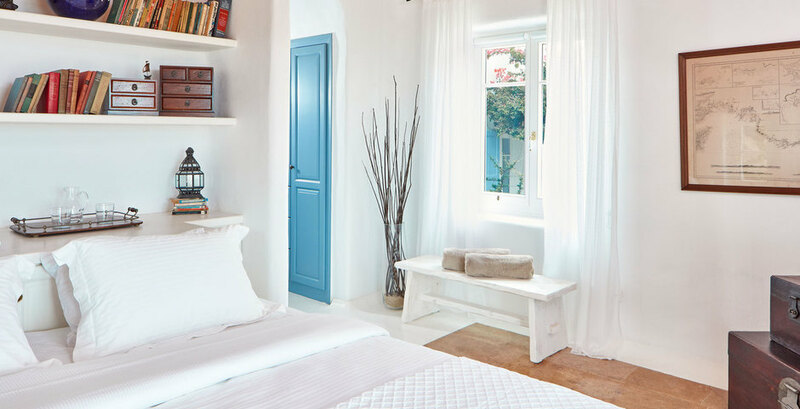 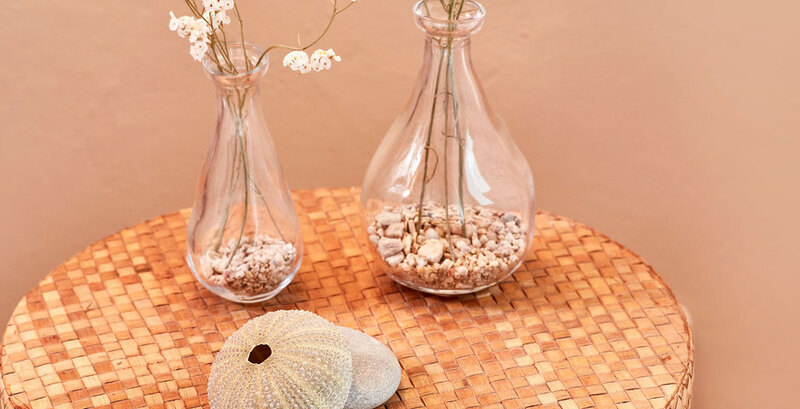 The interior decoration of the house caters to the sophisticated guest with its warm and welcoming atmosphere of elegant simplicity. 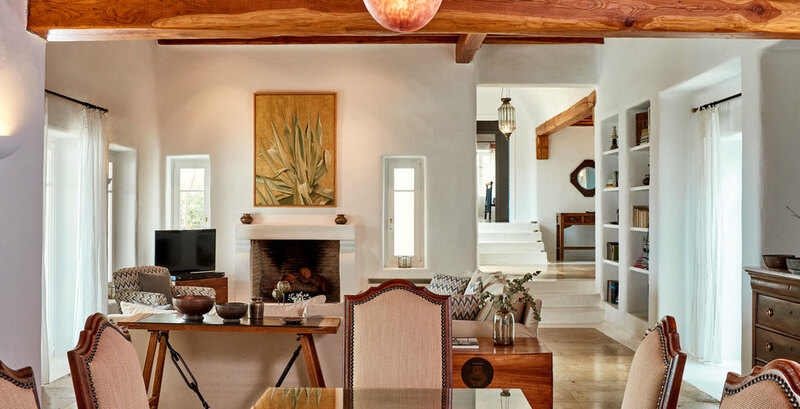 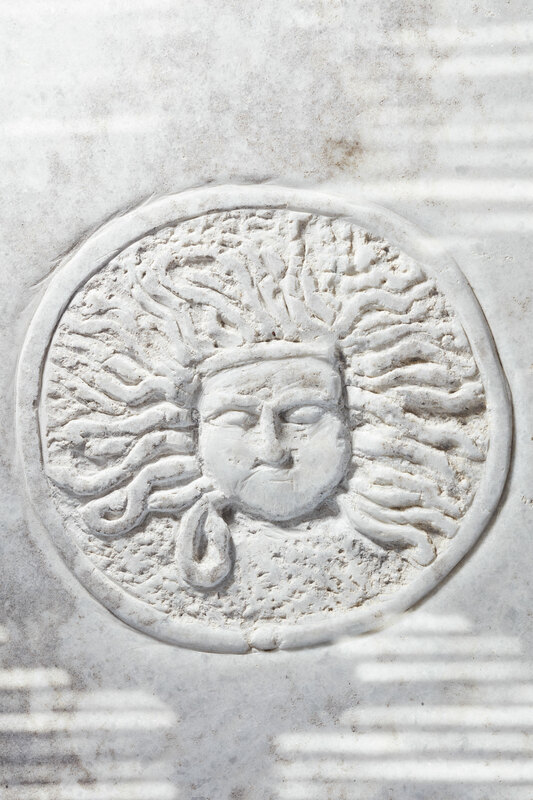 The deco includes many antiques, such as a large dining table, over two centuries old, brought from a French monastery, as well as a selection of fine original paintings. 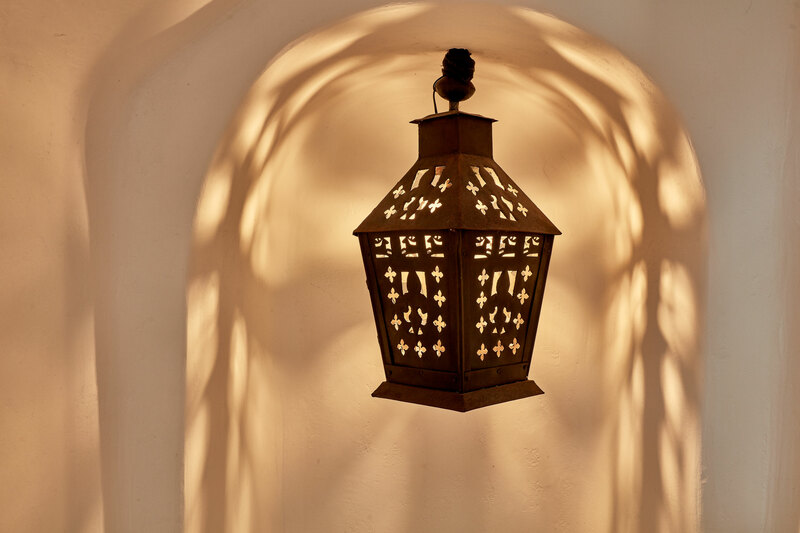 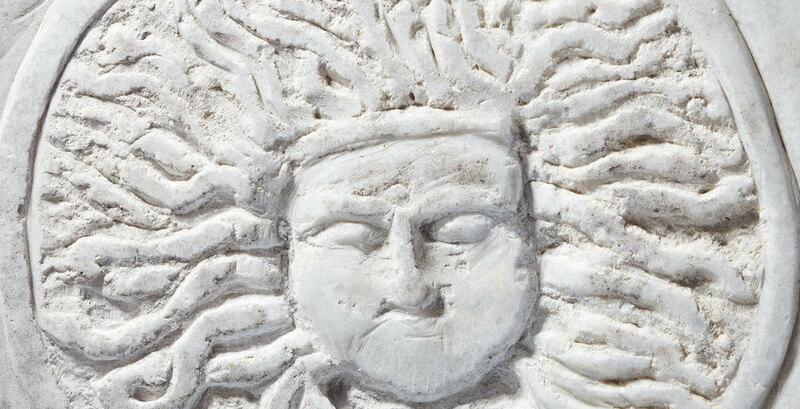 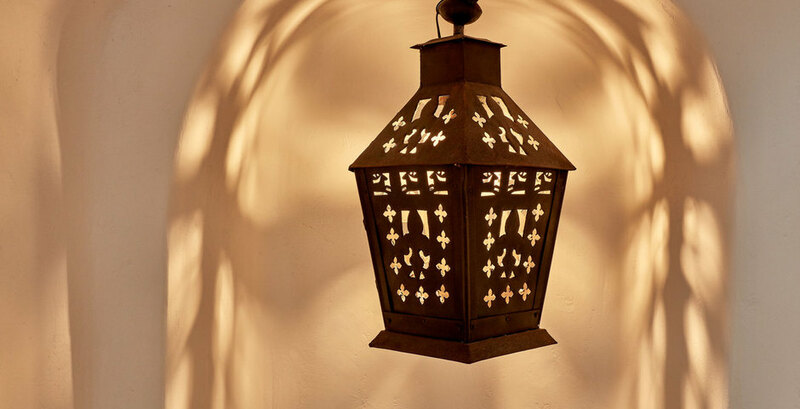 The Villa is the de facto retreat of choice by European and Middle Eastern Royal families. 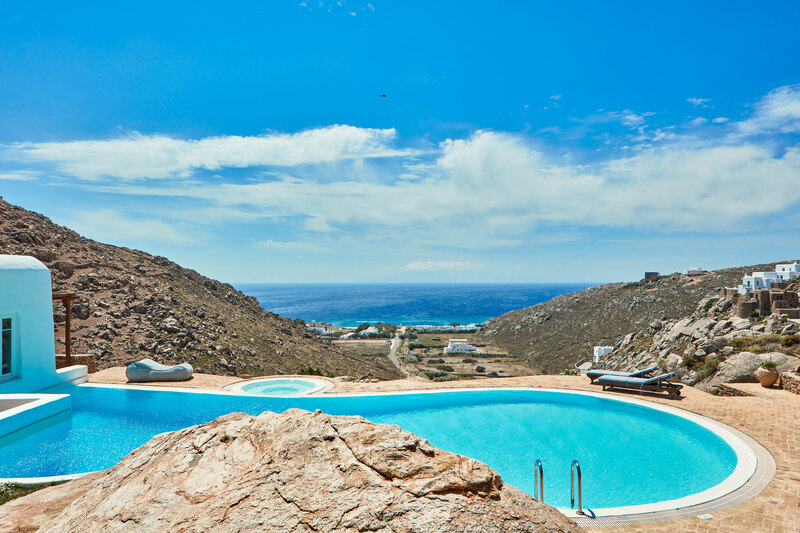 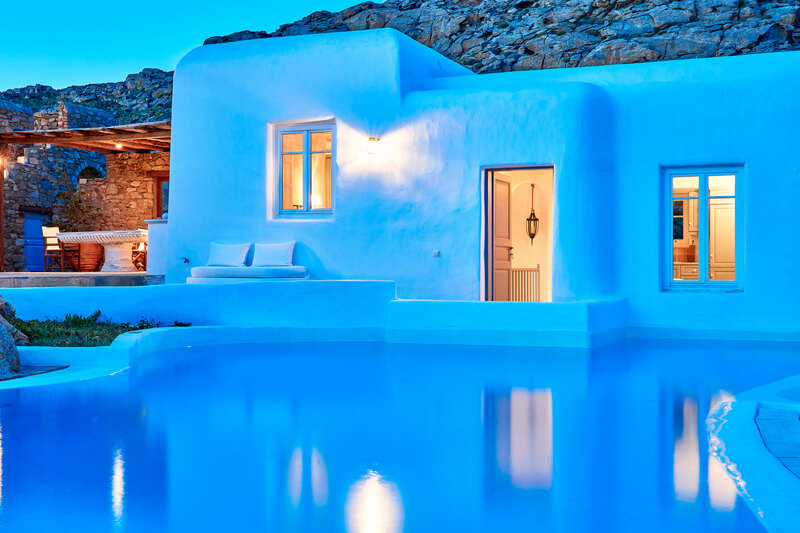 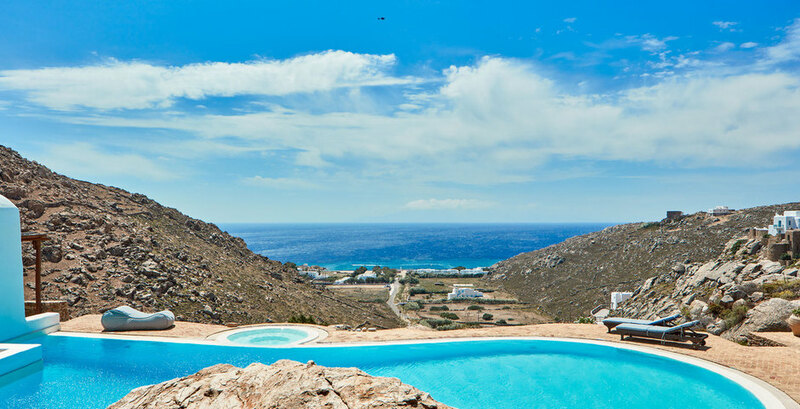 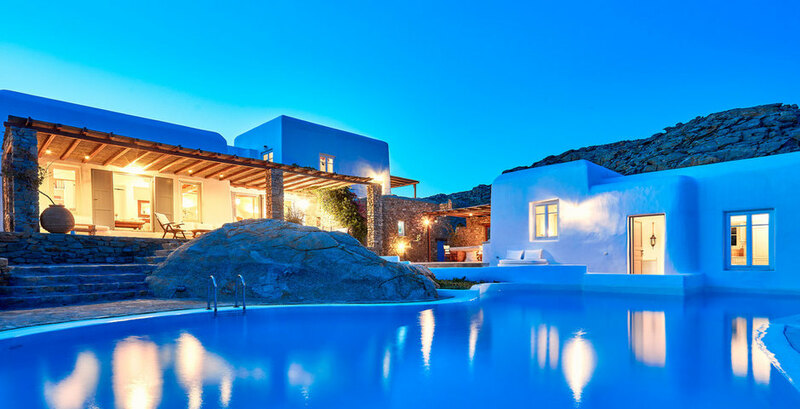 Secluded, large and gated property on a land of 10,000 sq.m2, strategically located at the best part of southern Mykonos. 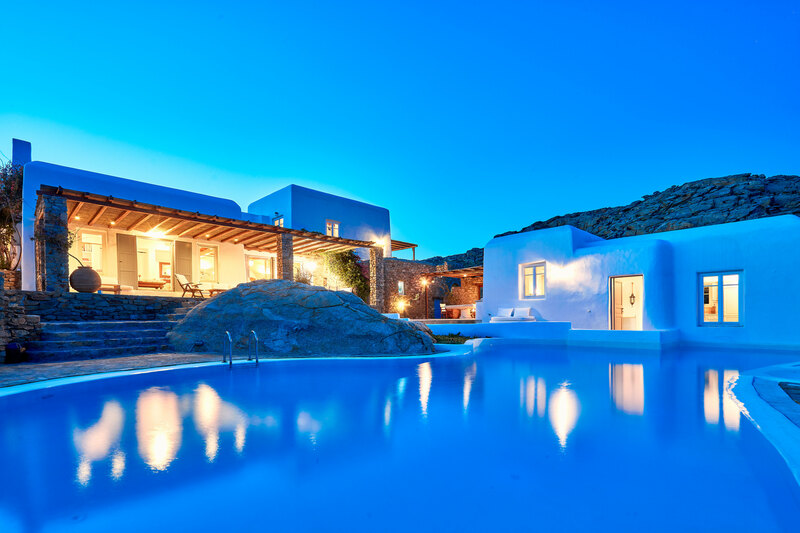 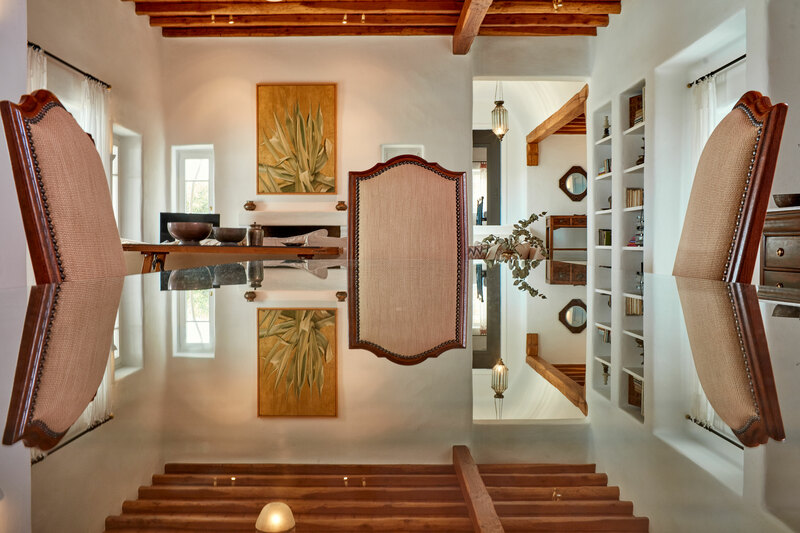 The Villa is a complex of four independent houses, each with its own style. 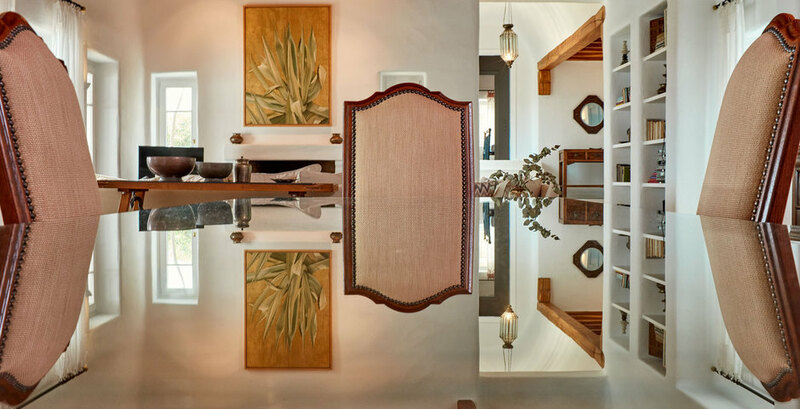 Refined and unpretentious deco with antique furniture and fine art. 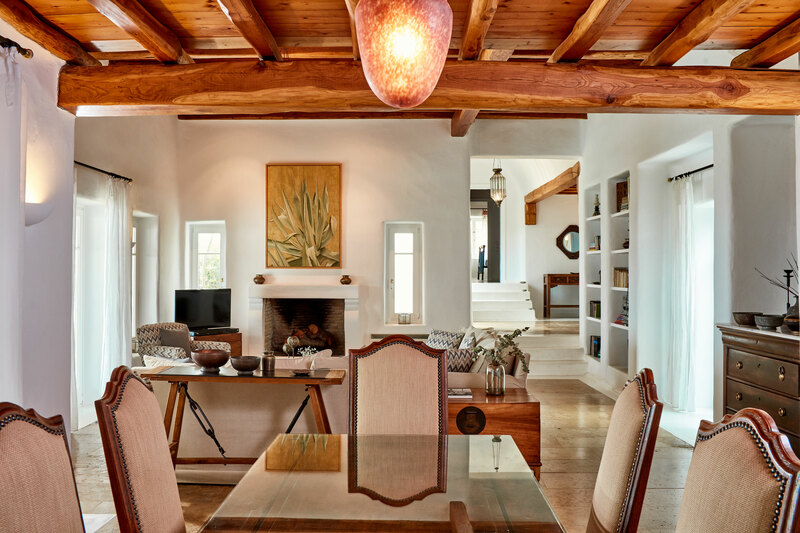 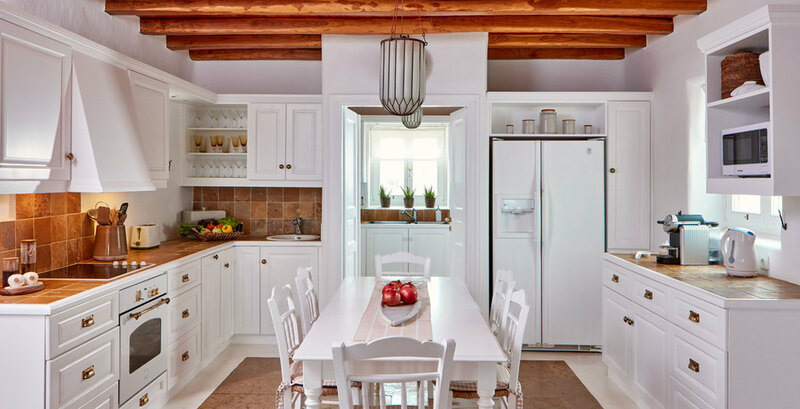 Large interior and exterior spaces.